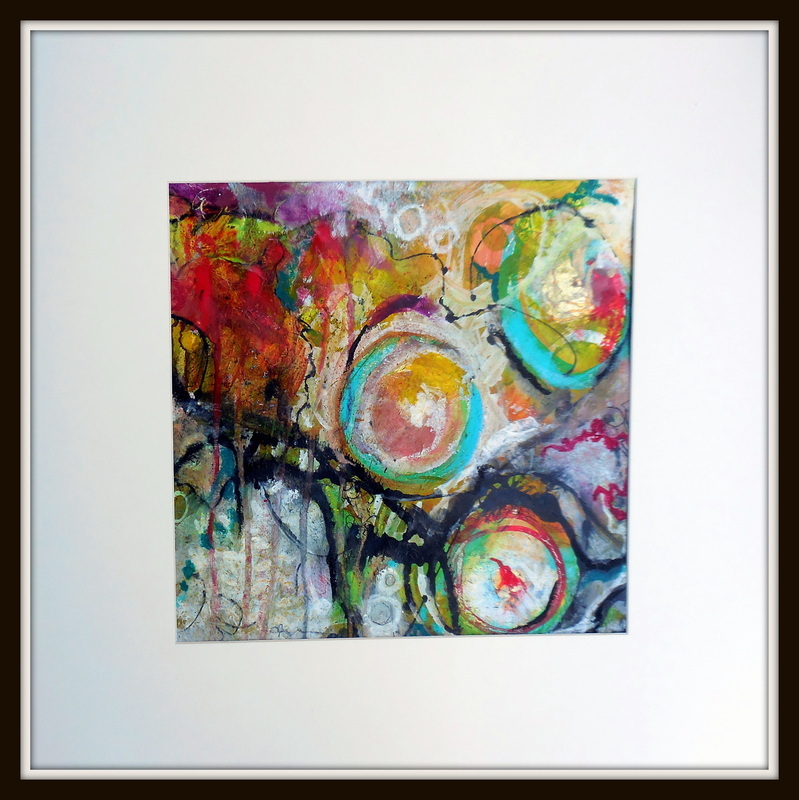 Torn paper collage paintings, abstract and mixed media paintings are all available here by artist Kris Grover. 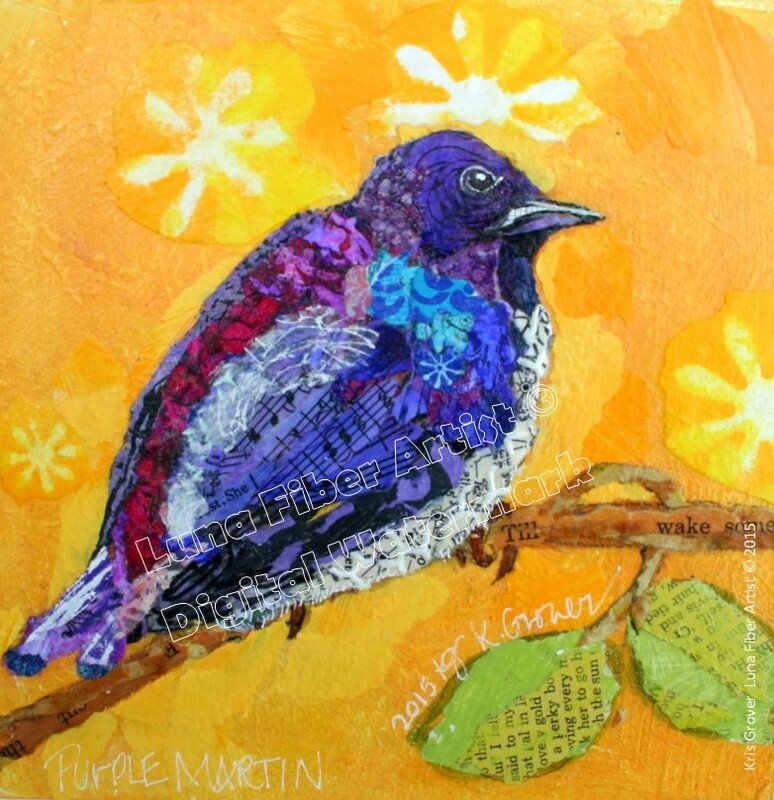 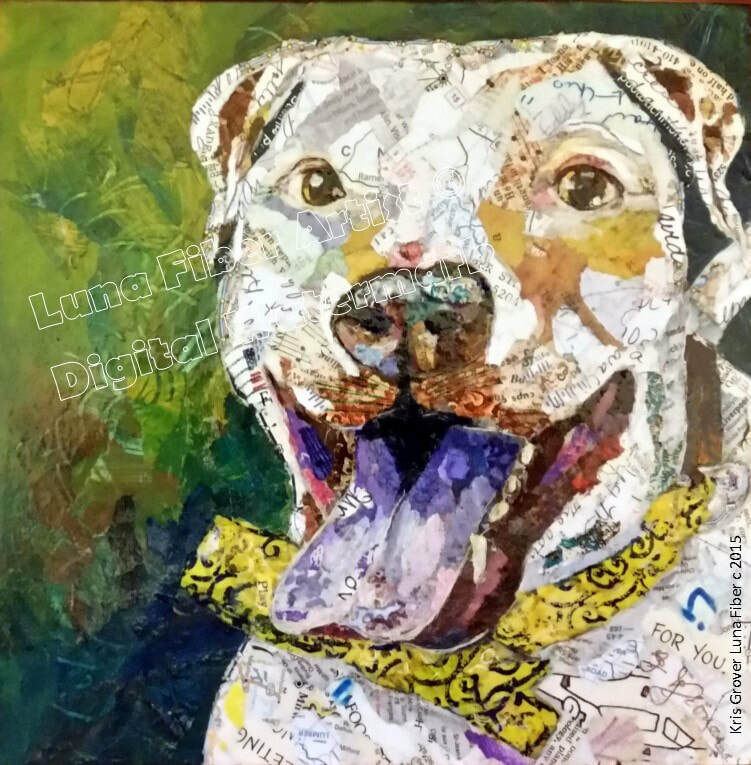 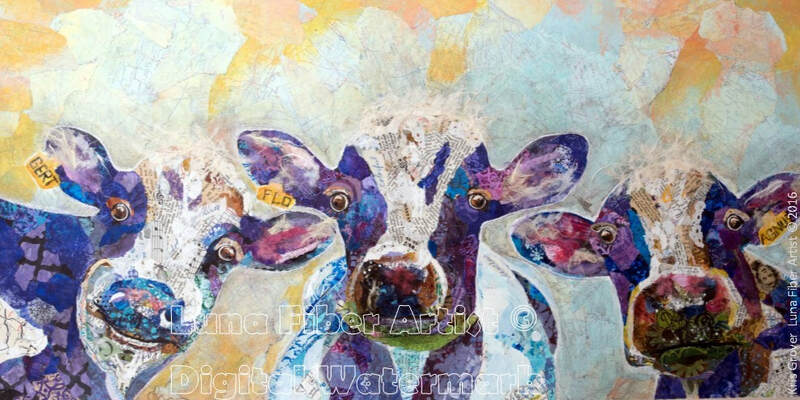 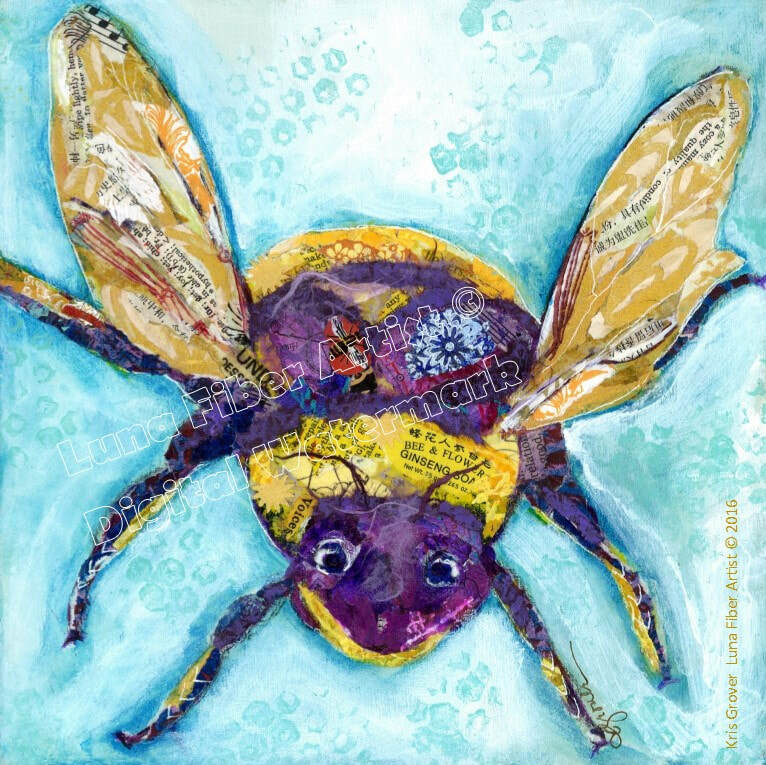 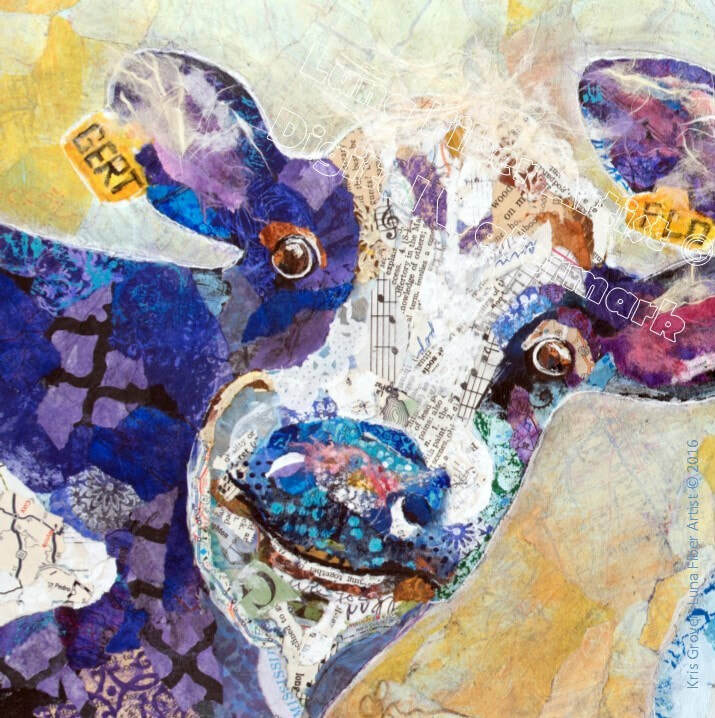 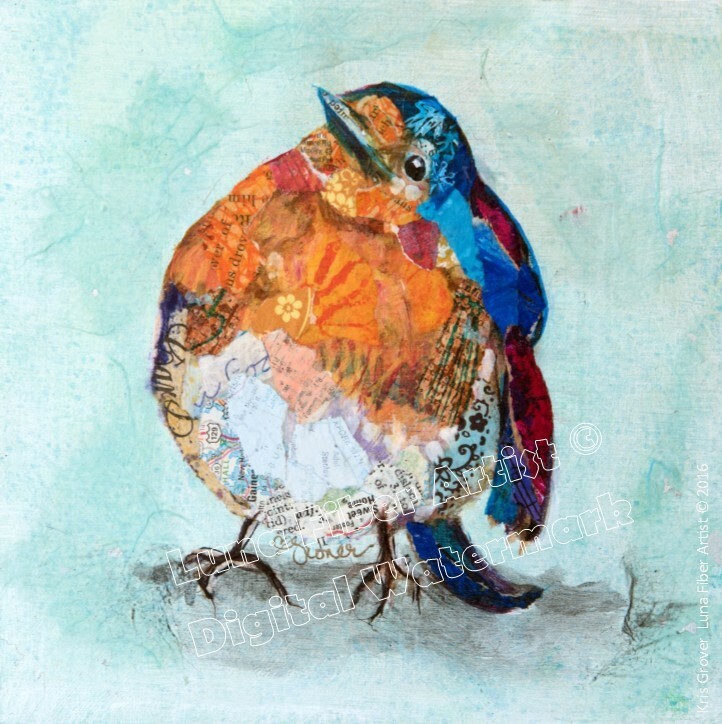 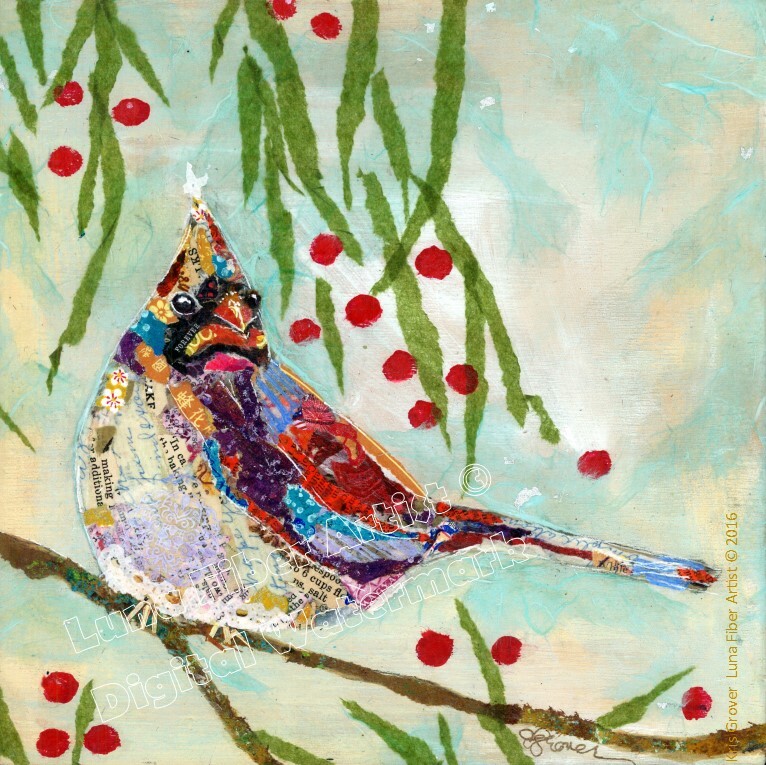 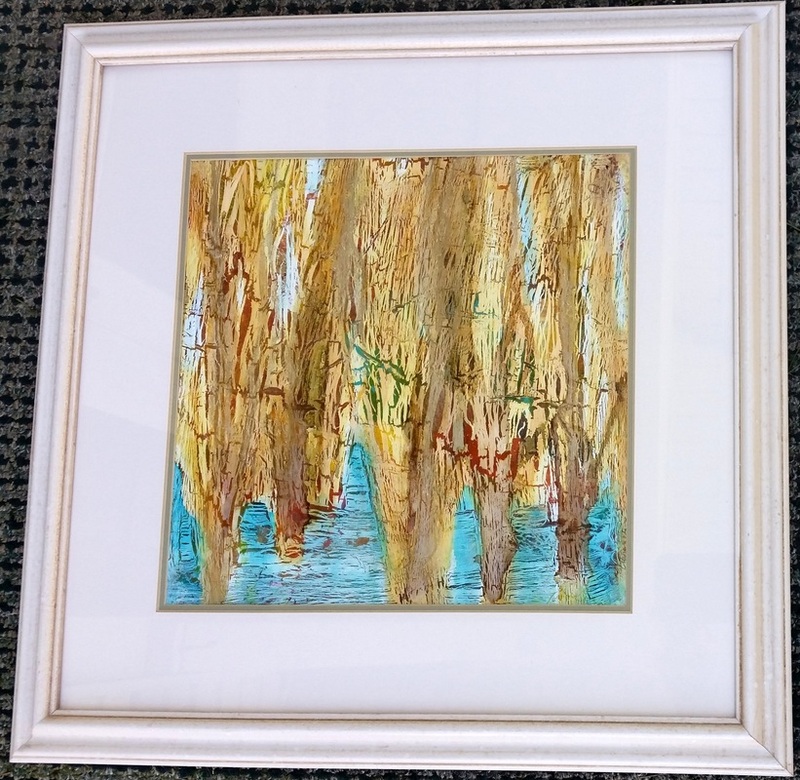 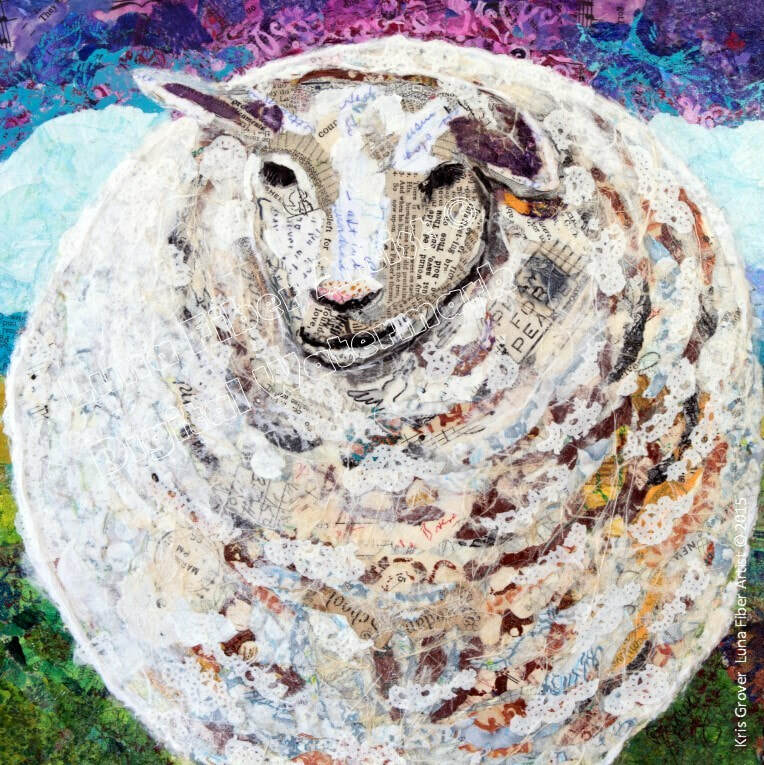 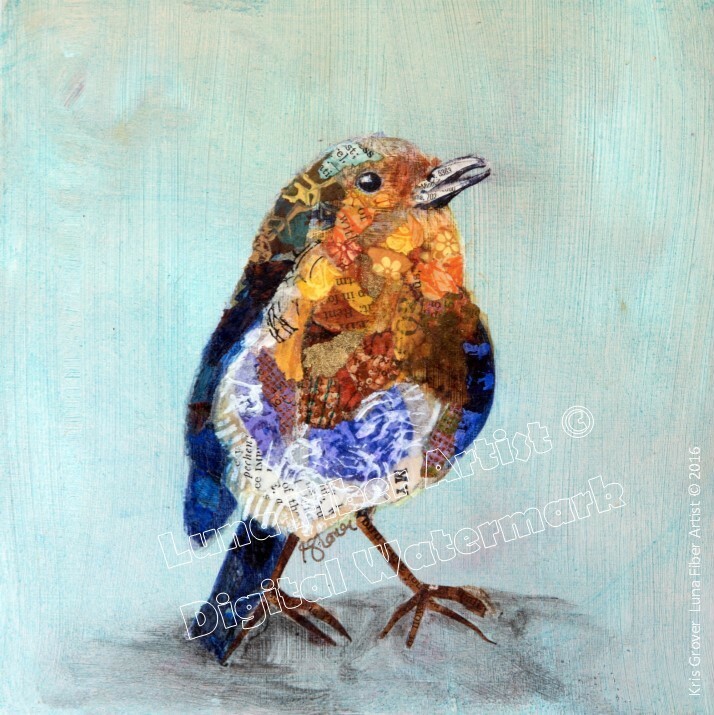 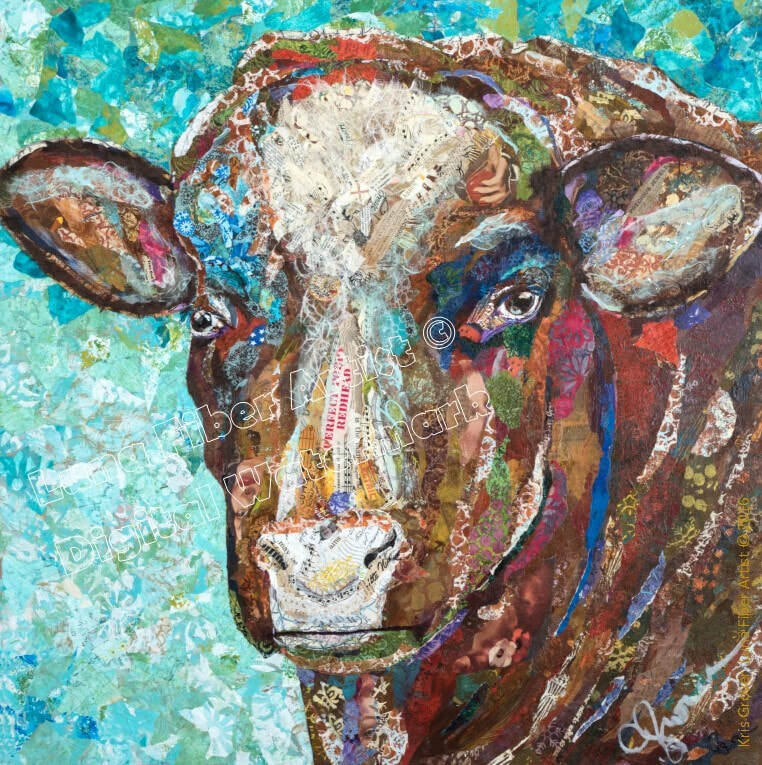 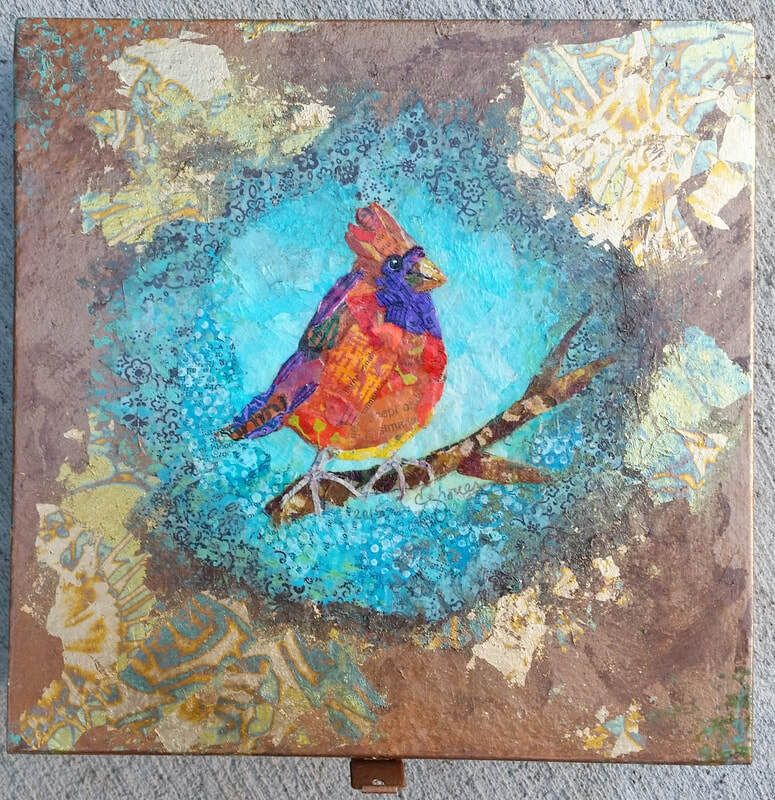 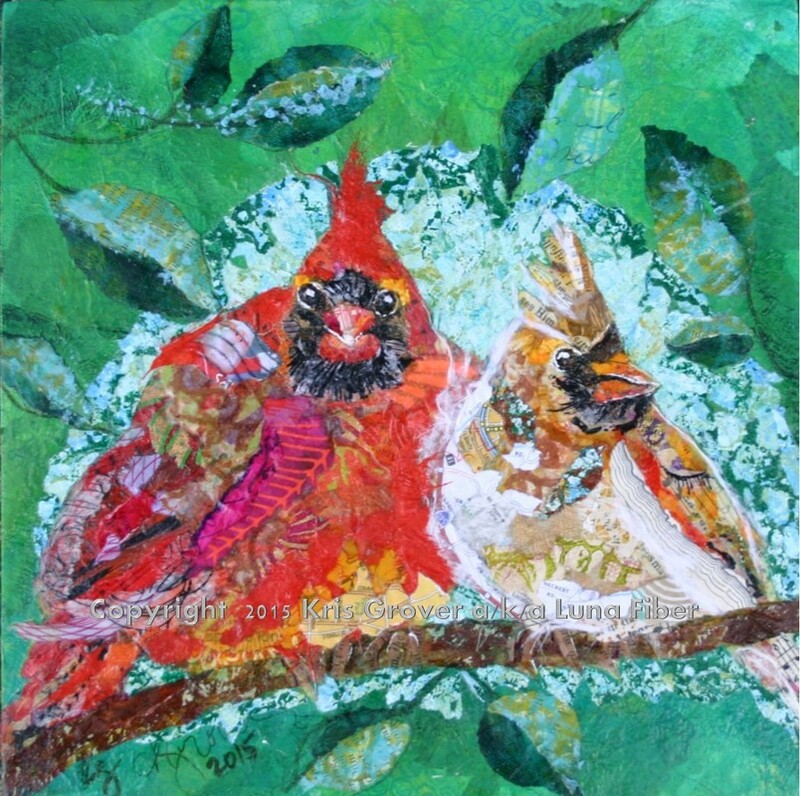 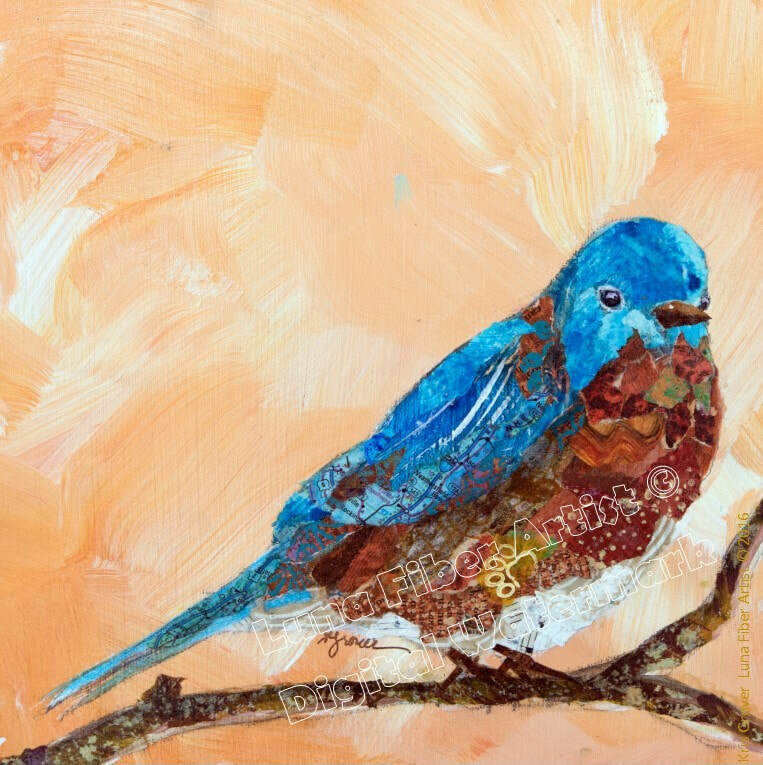 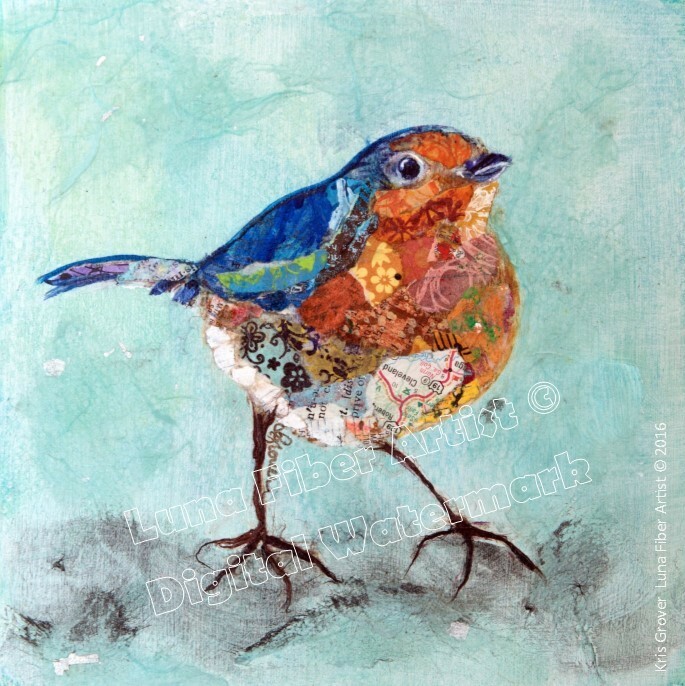 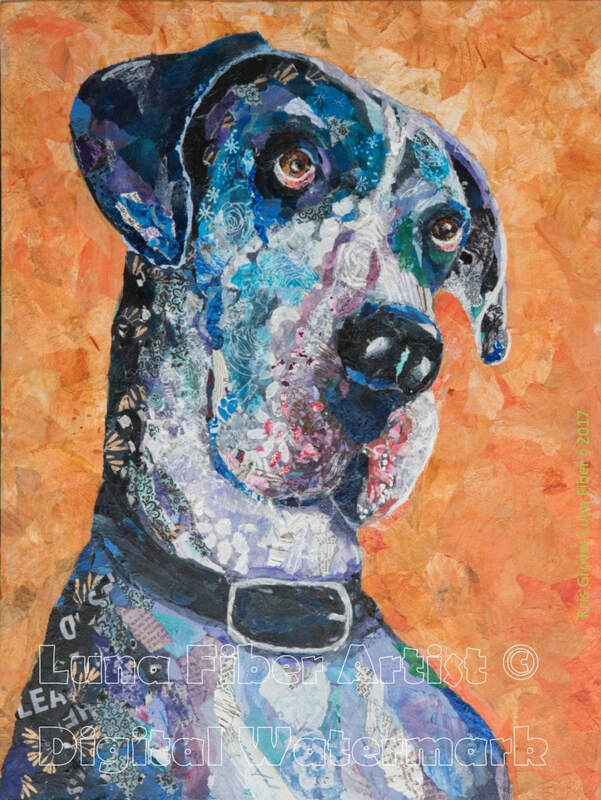 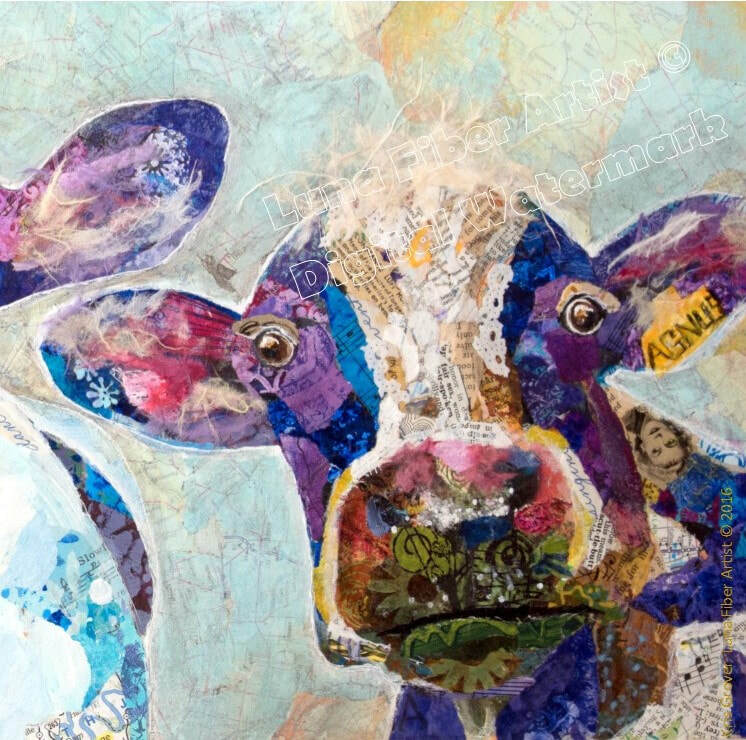 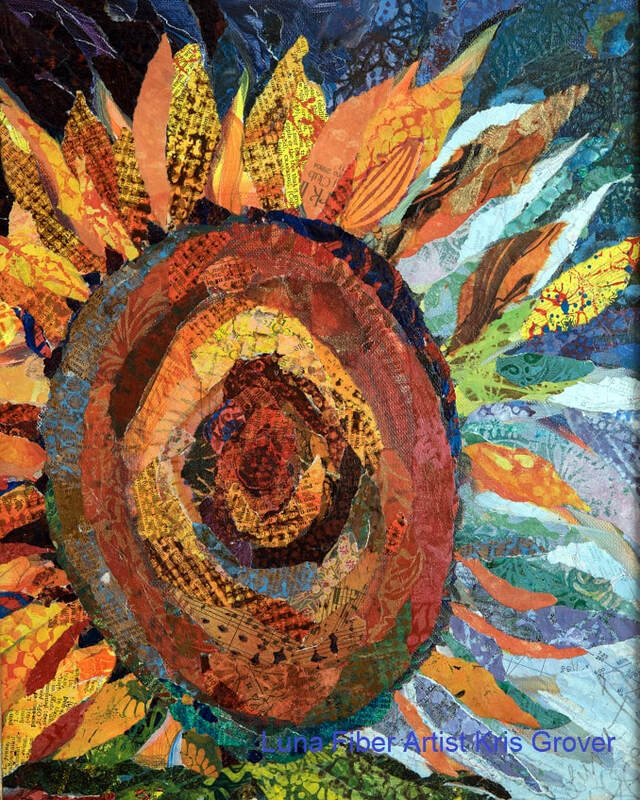 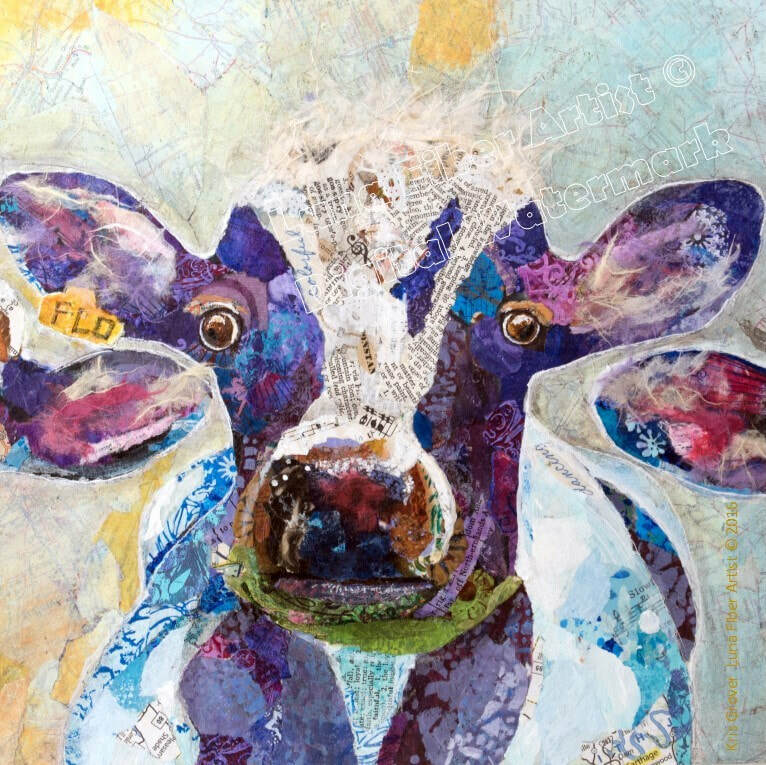 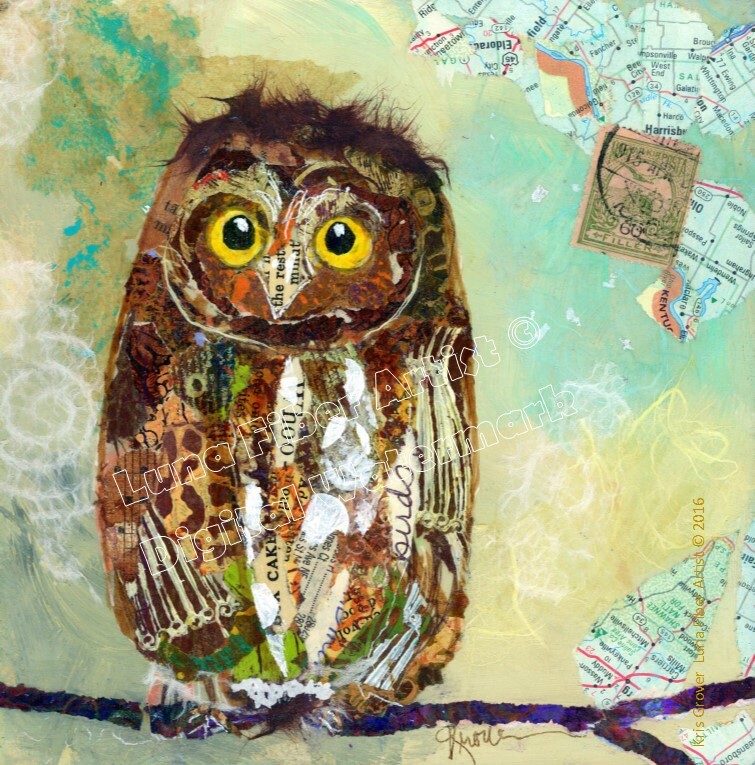 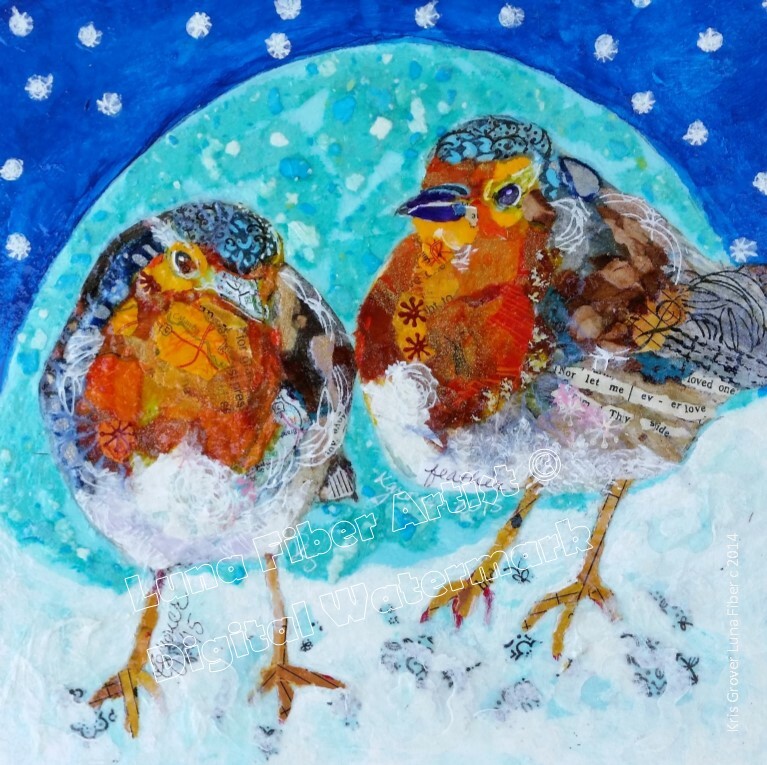 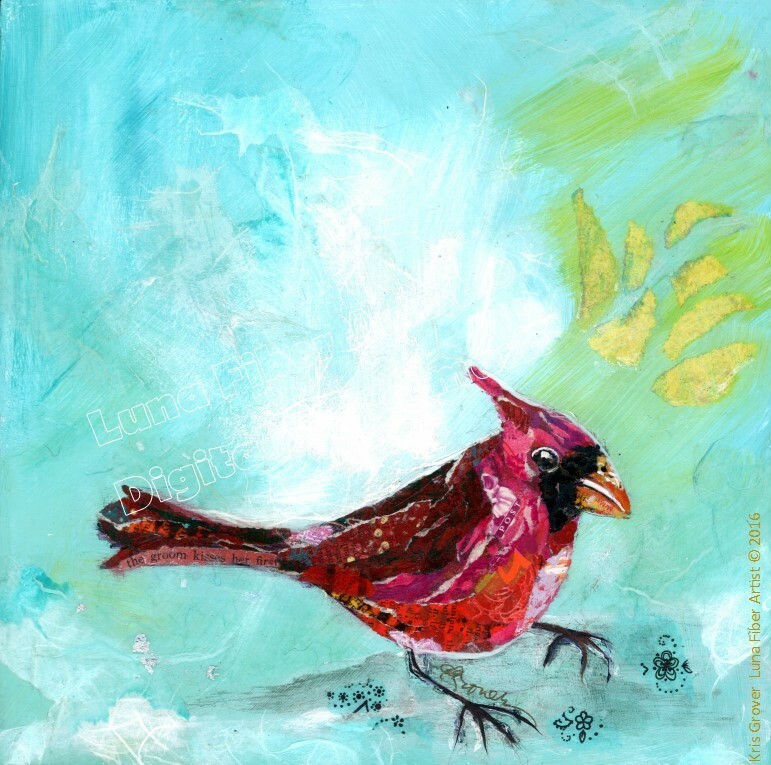 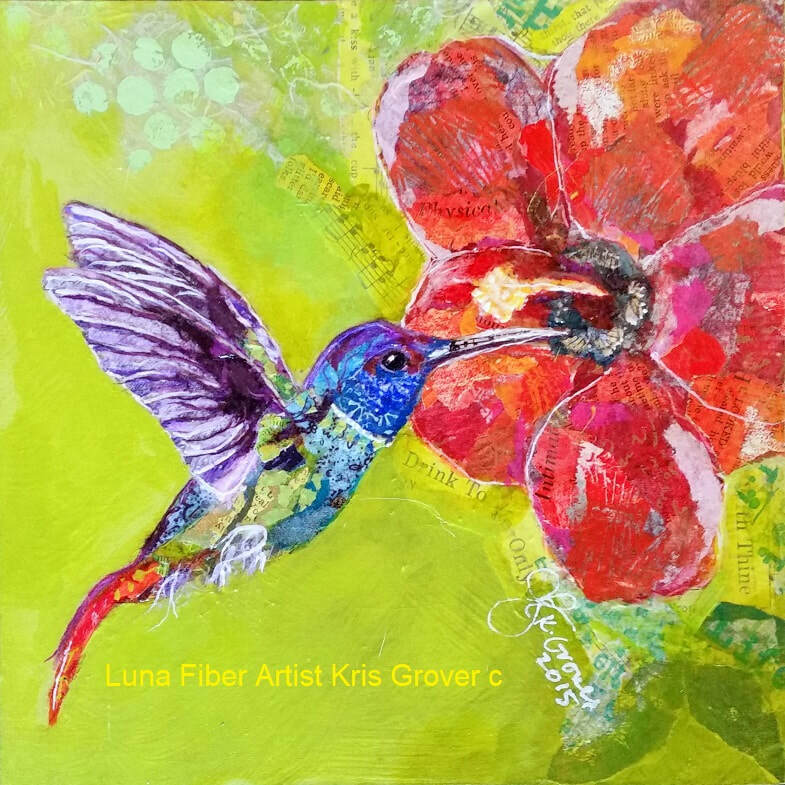 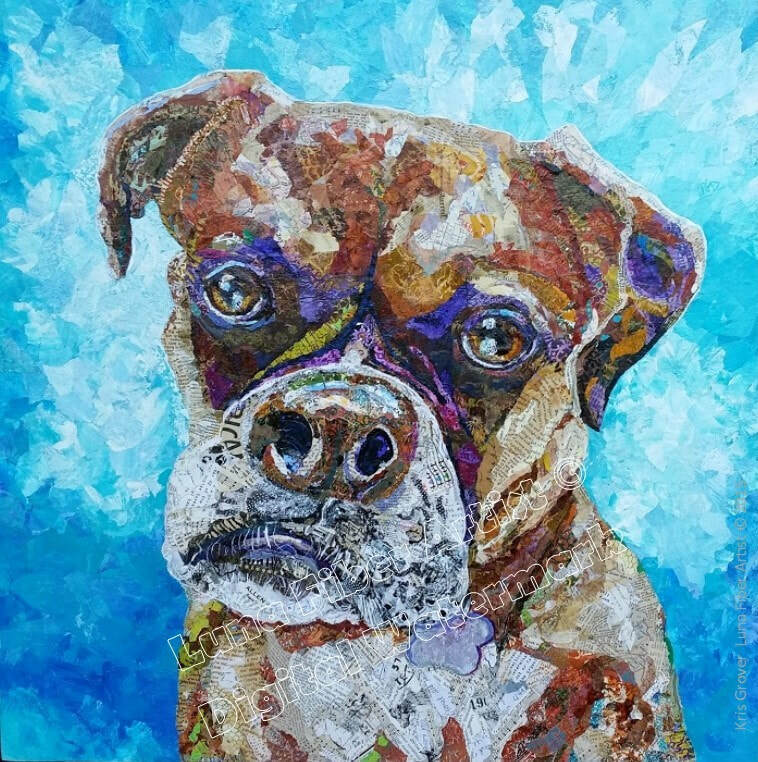 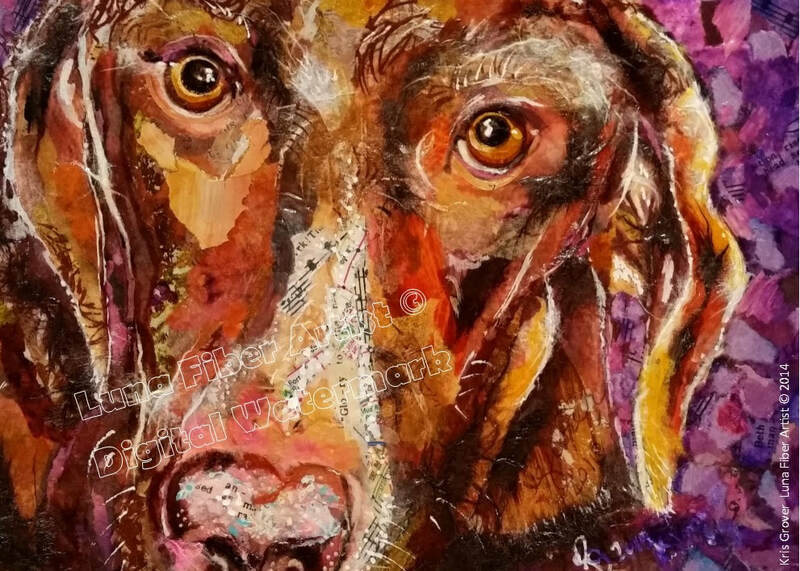 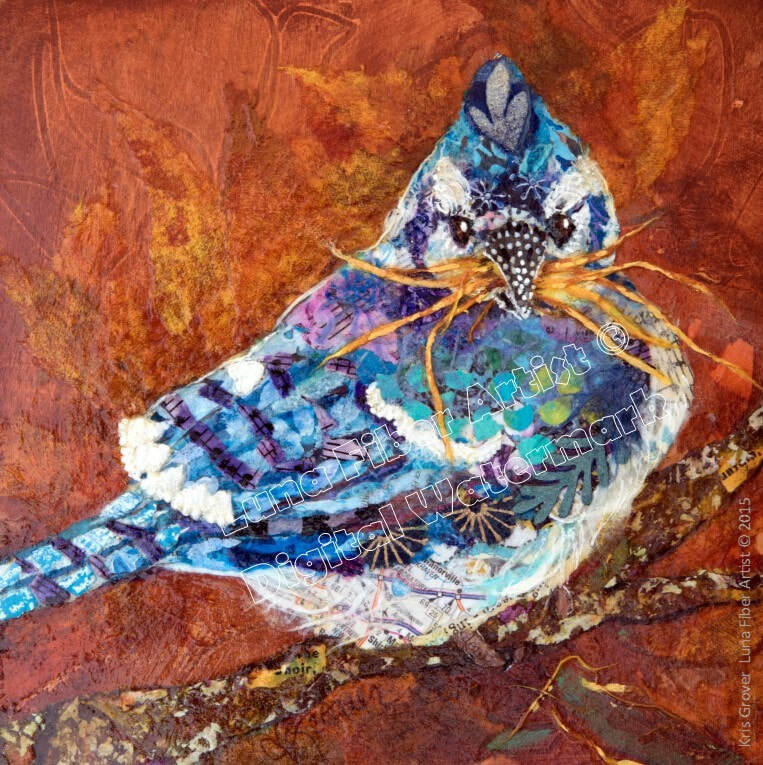 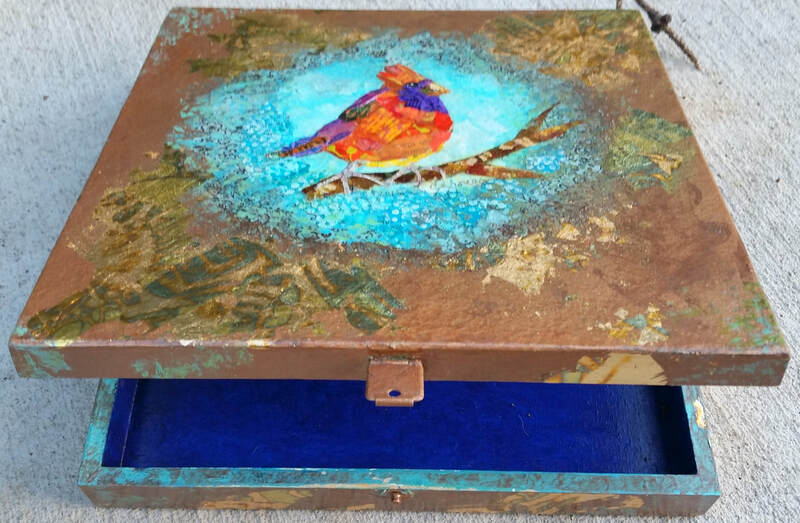 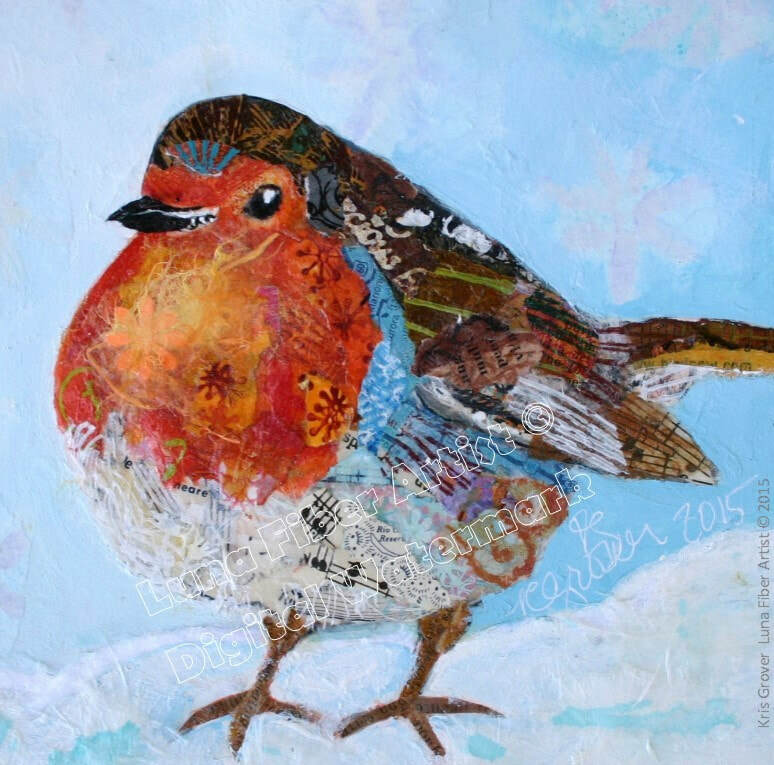 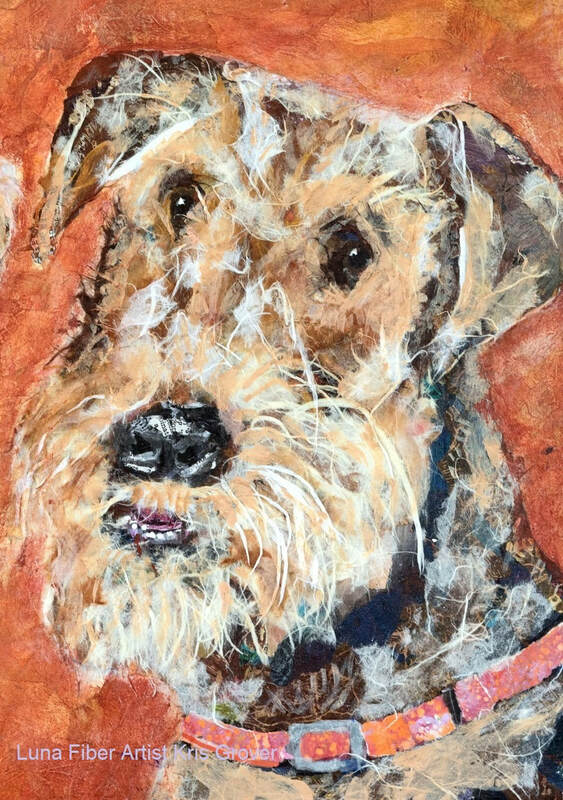 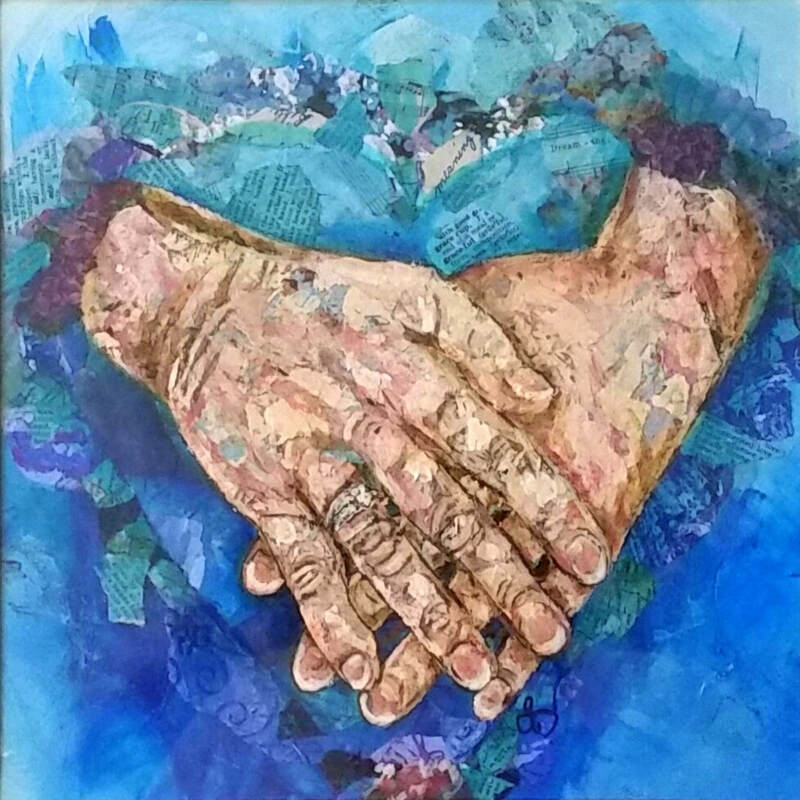 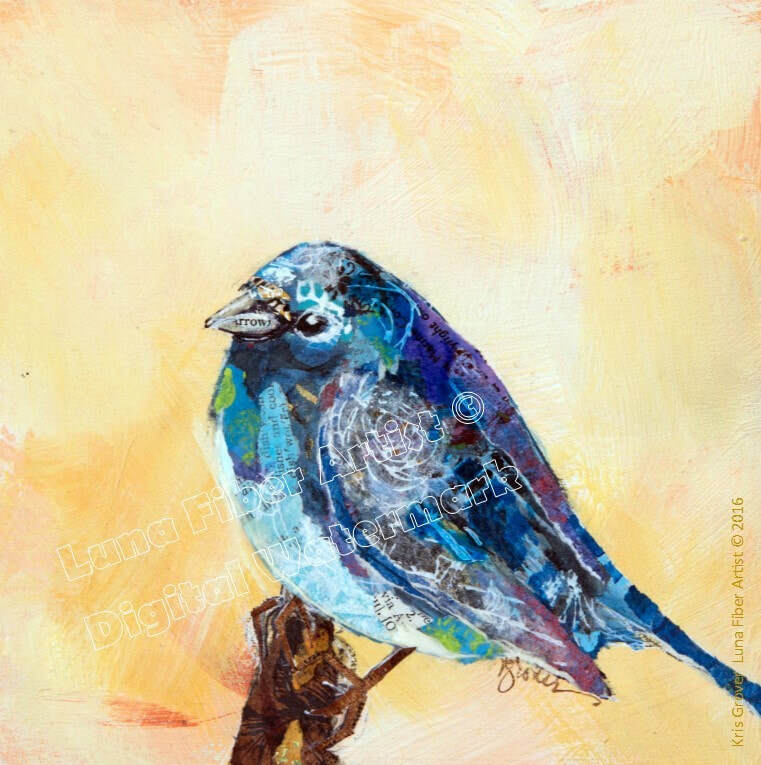 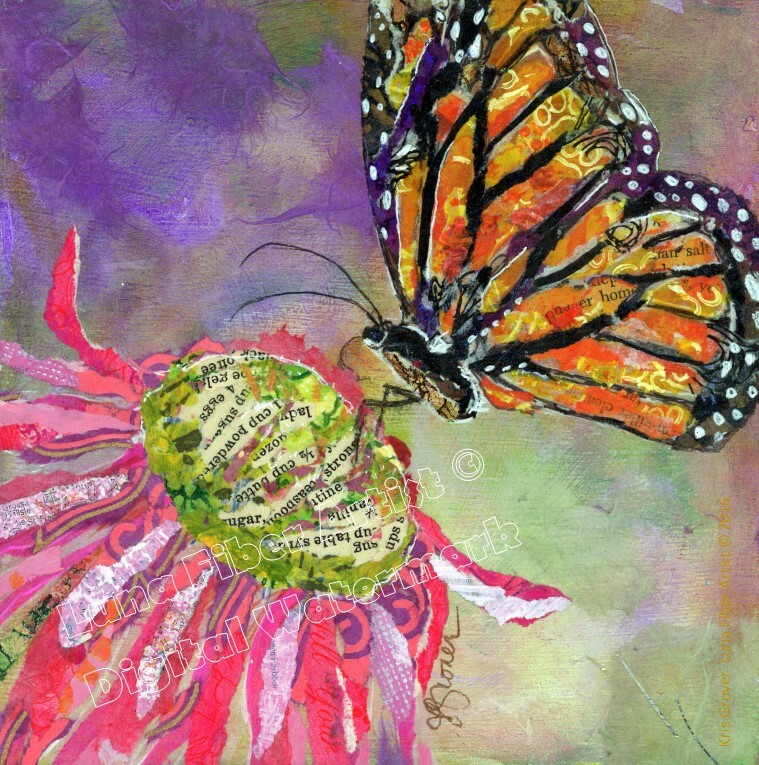 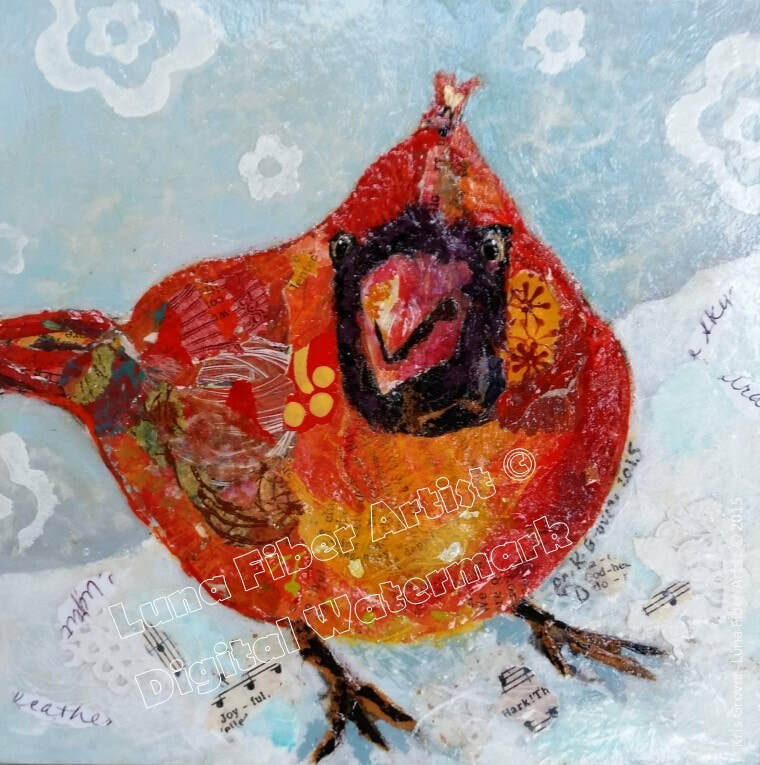 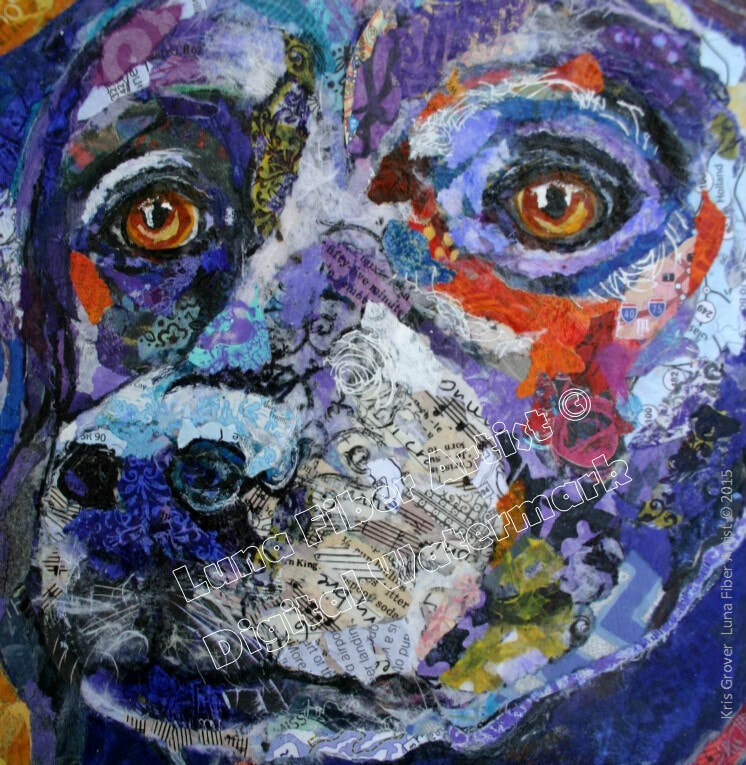 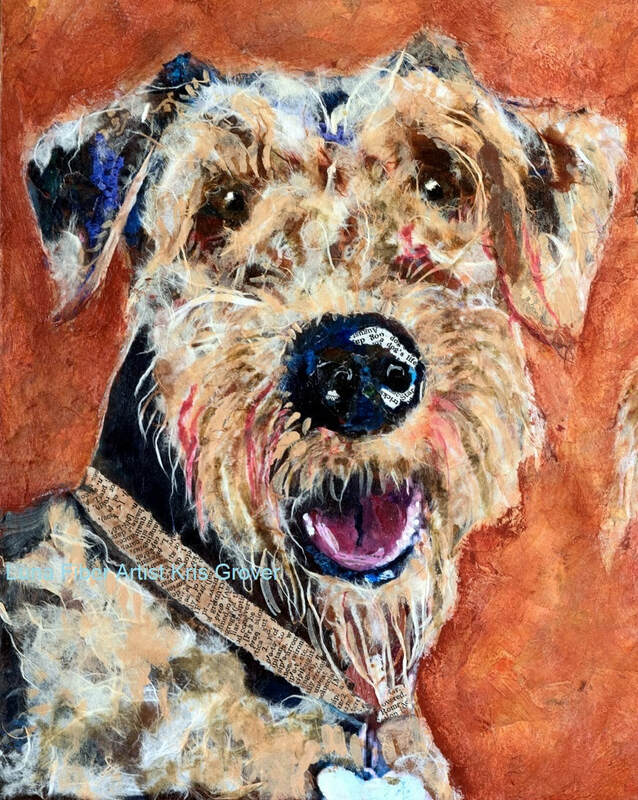 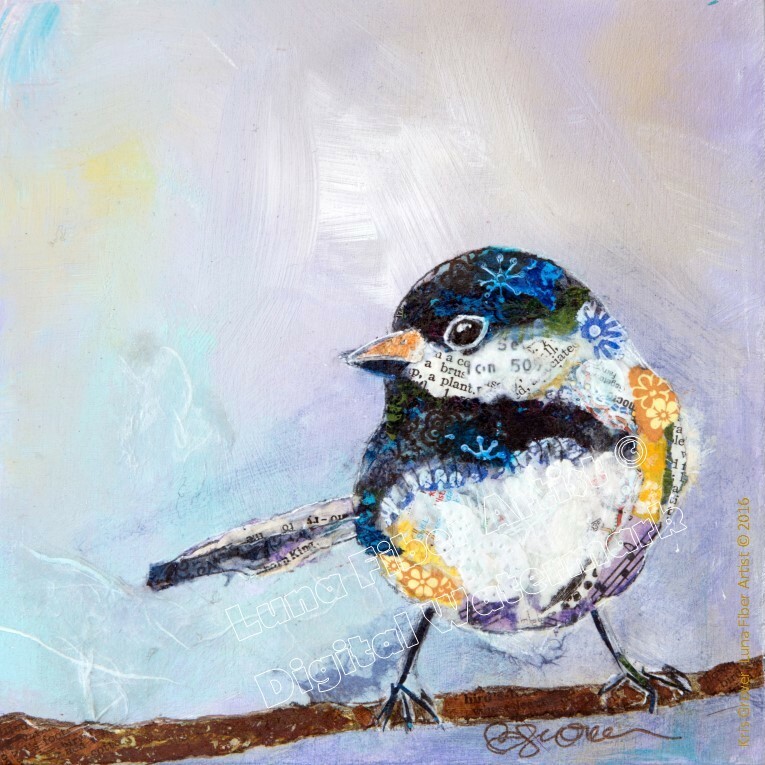 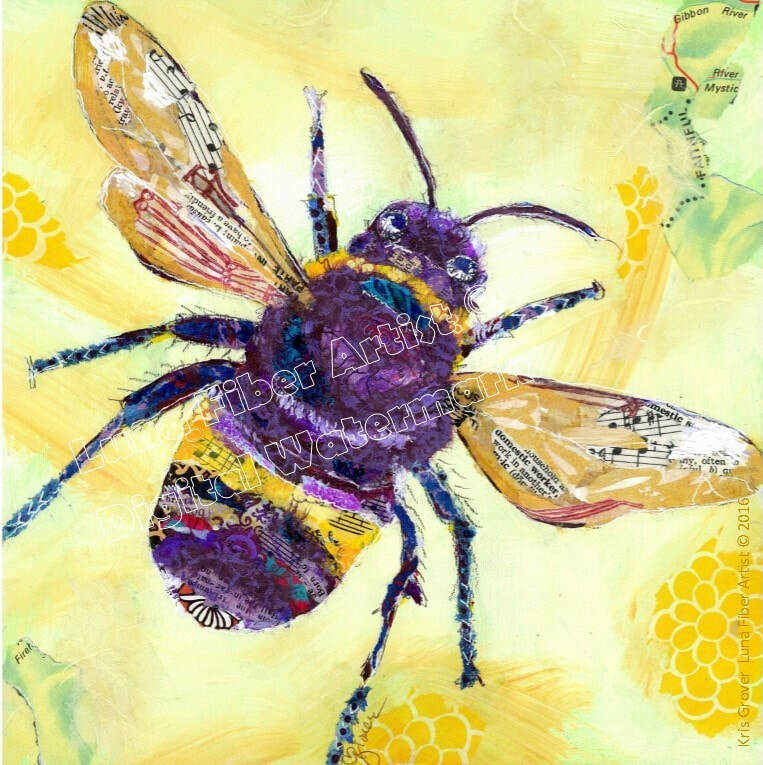 Her vibrant and colorful art torn paper creations are created by torn bits of paper which she makes by painting and embellishing re-purposed papers such as maps, letters, sheet music and more. 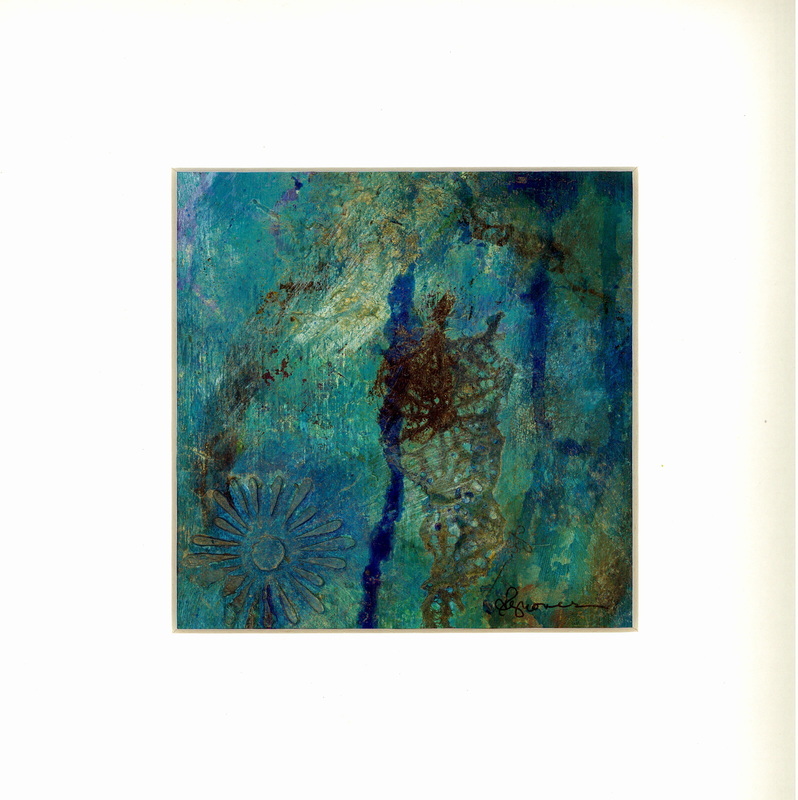 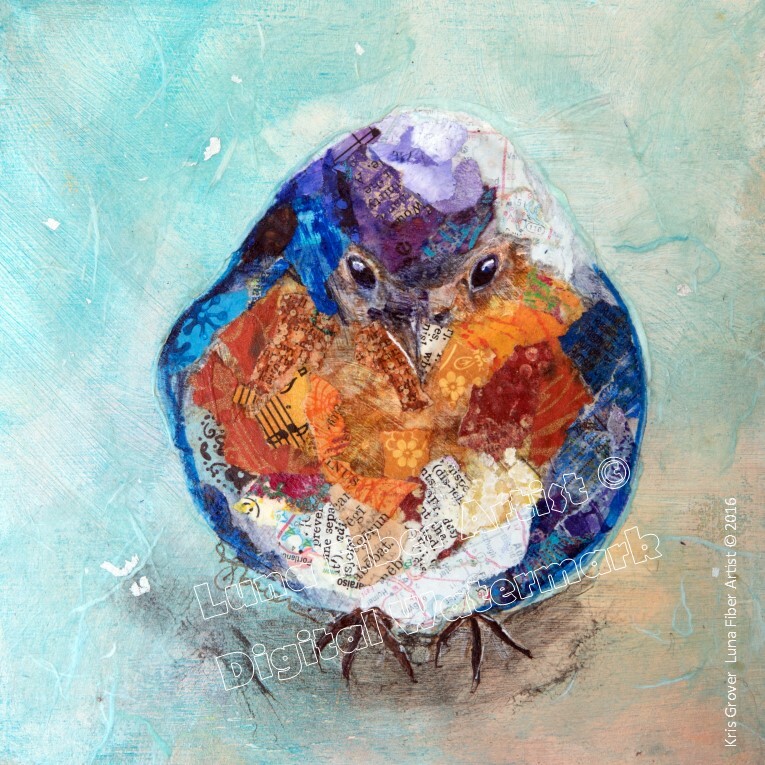 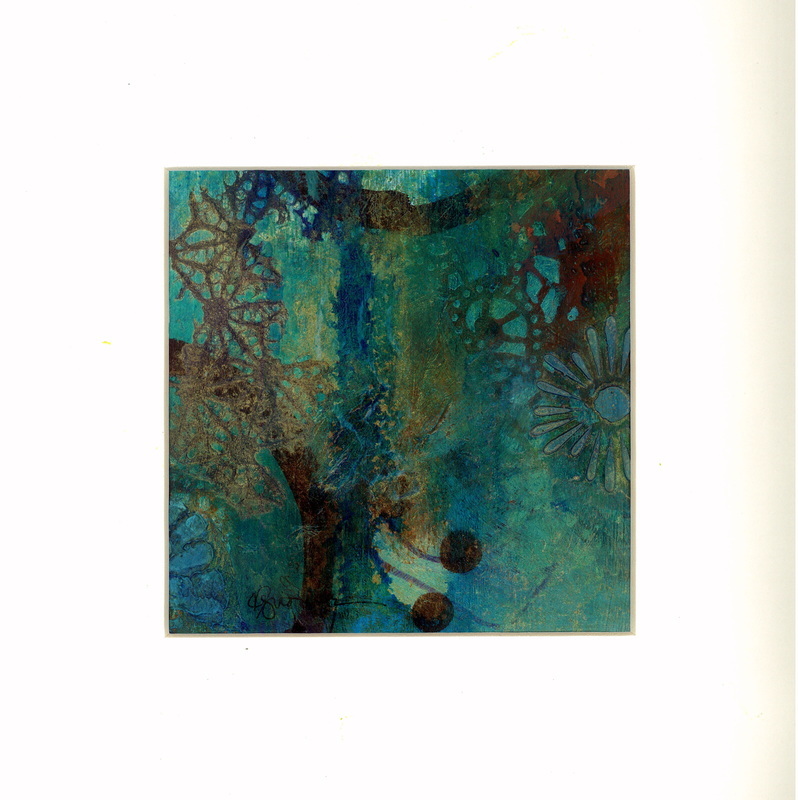 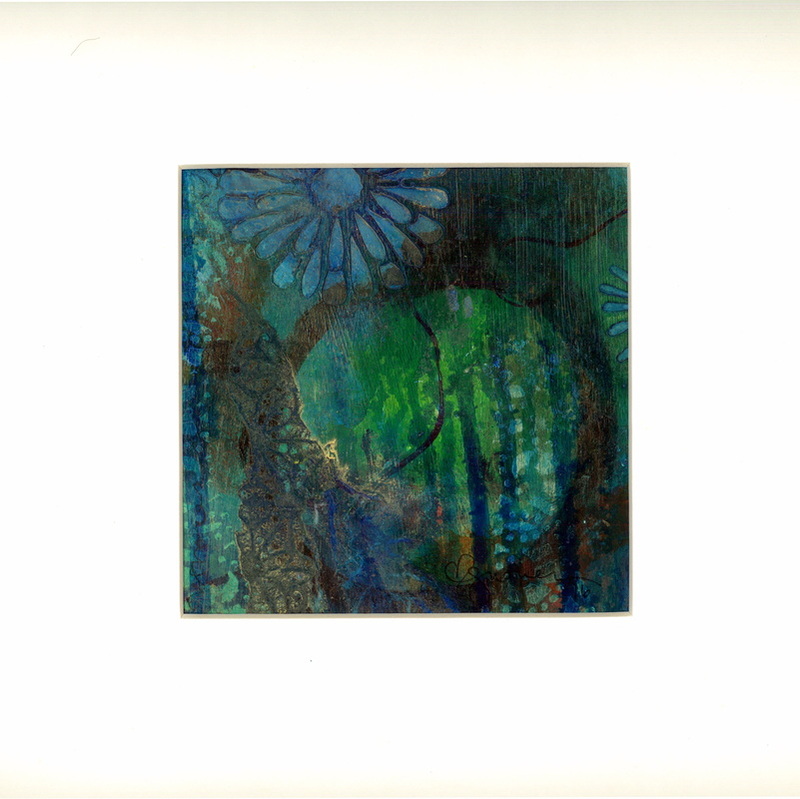 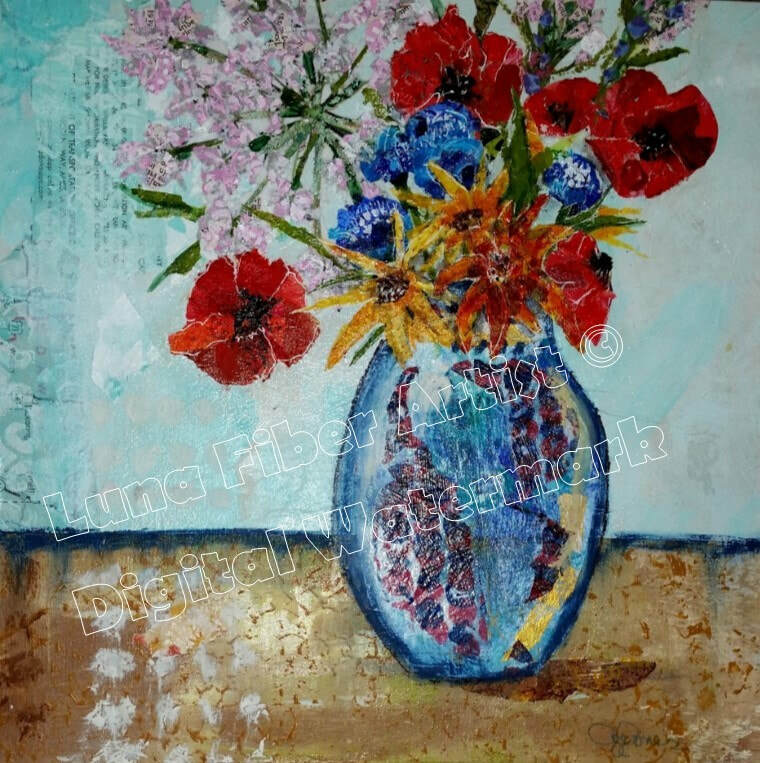 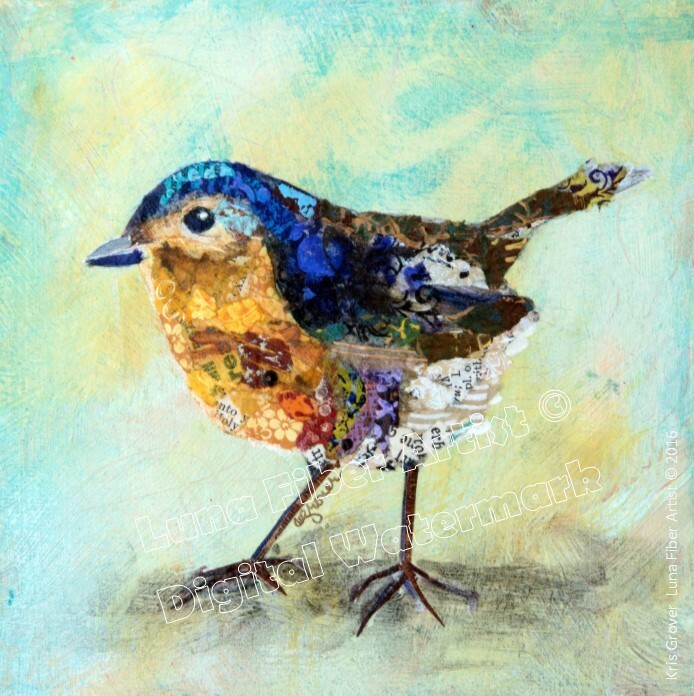 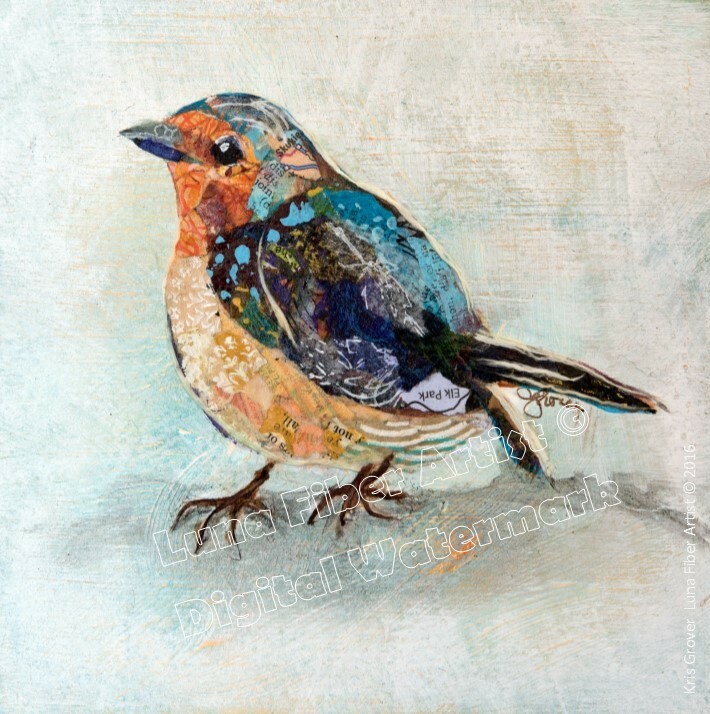 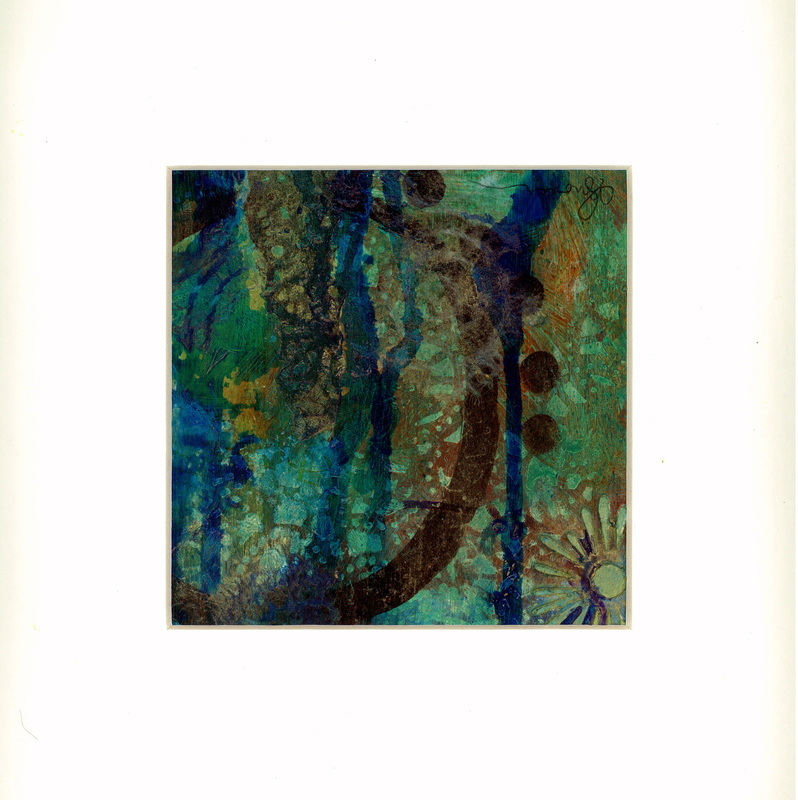 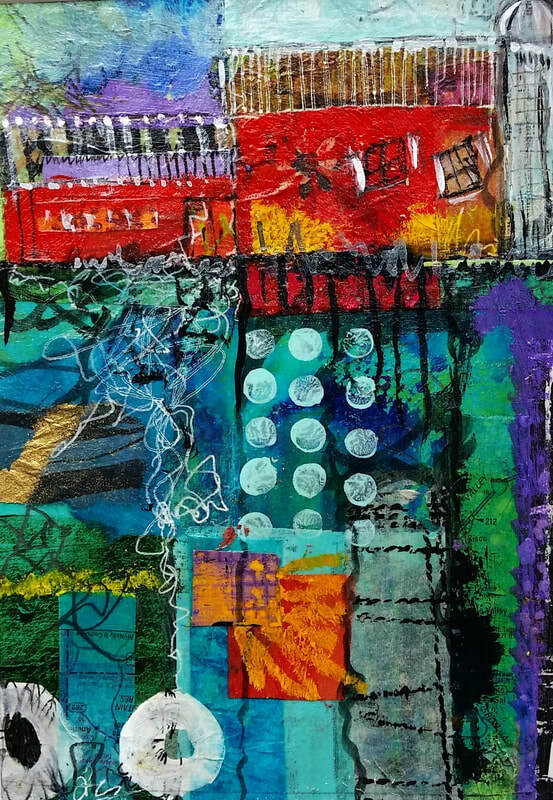 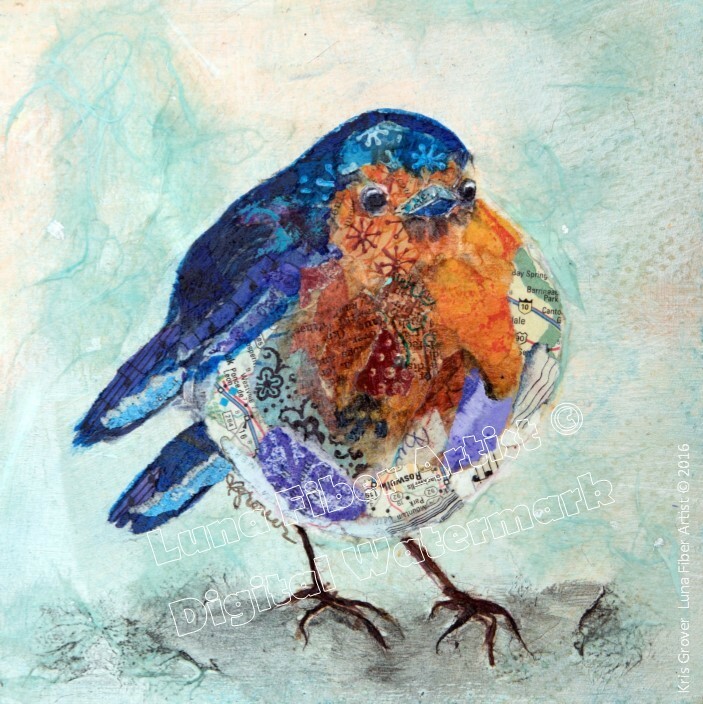 Mixed media pieces include torn paper as well as oil pastel, graphite, ink, mono-printed papers and found objects. 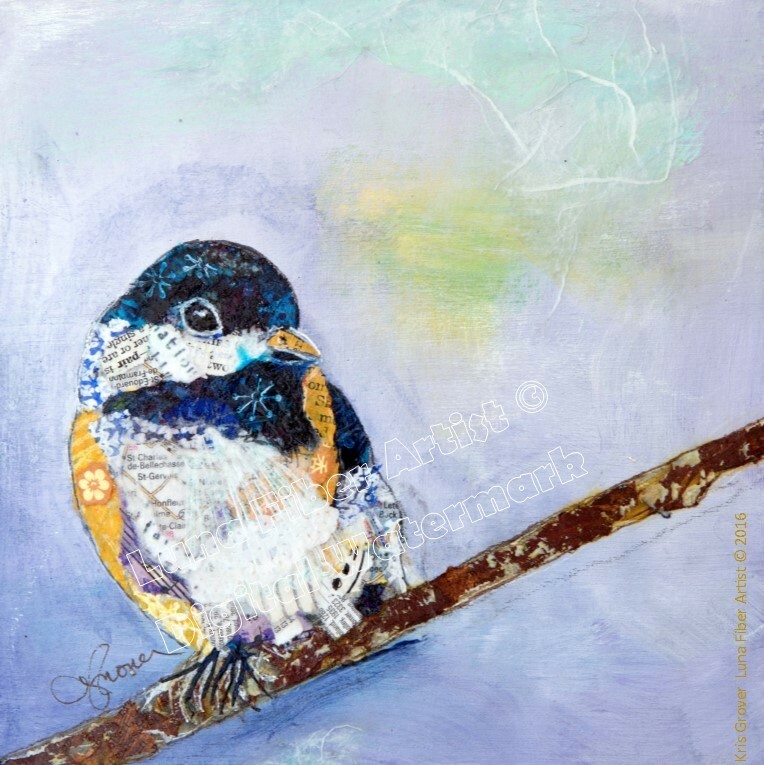 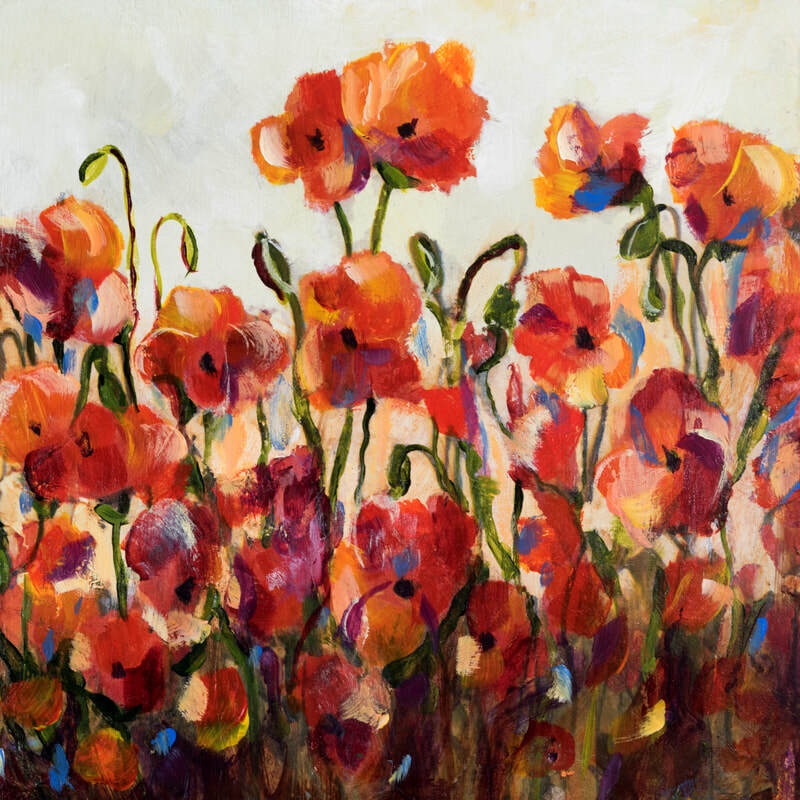 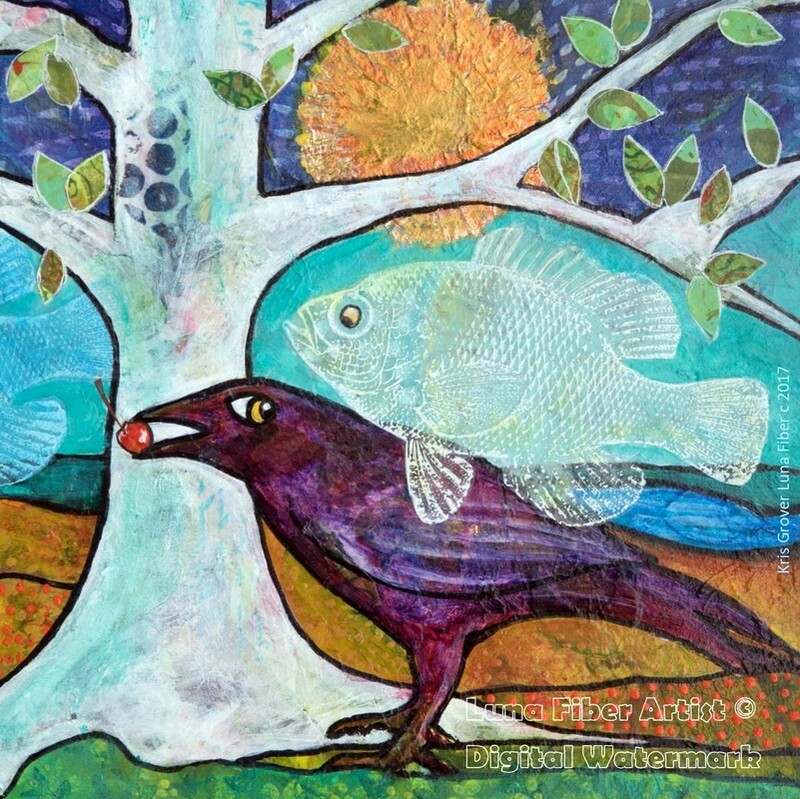 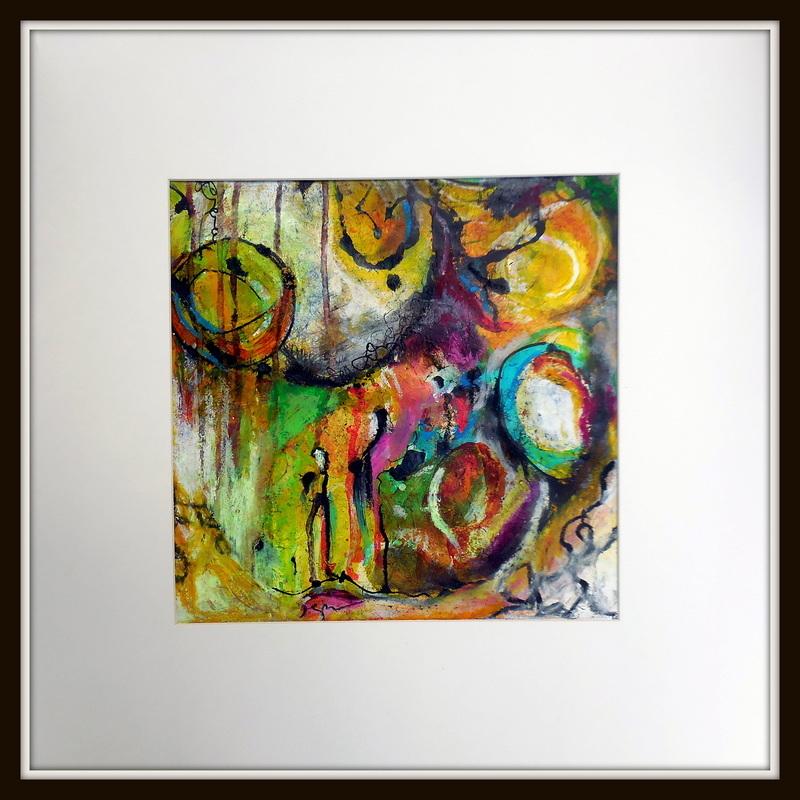 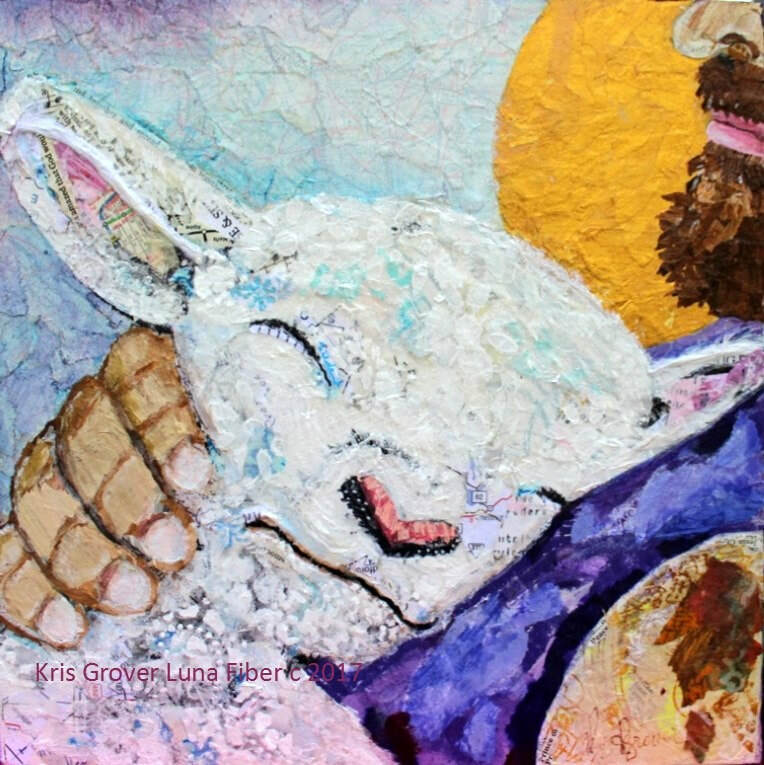 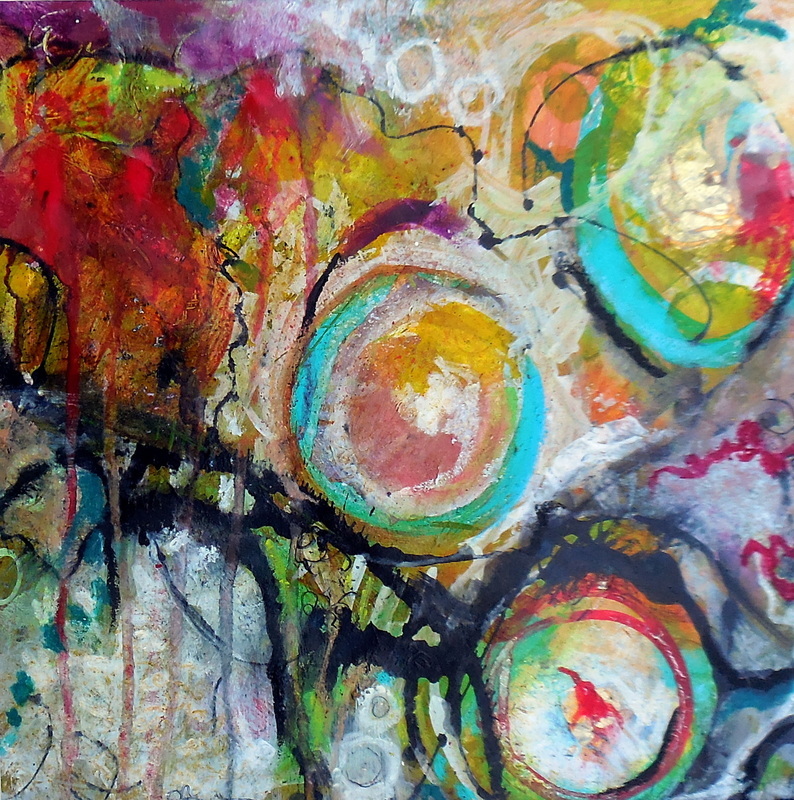 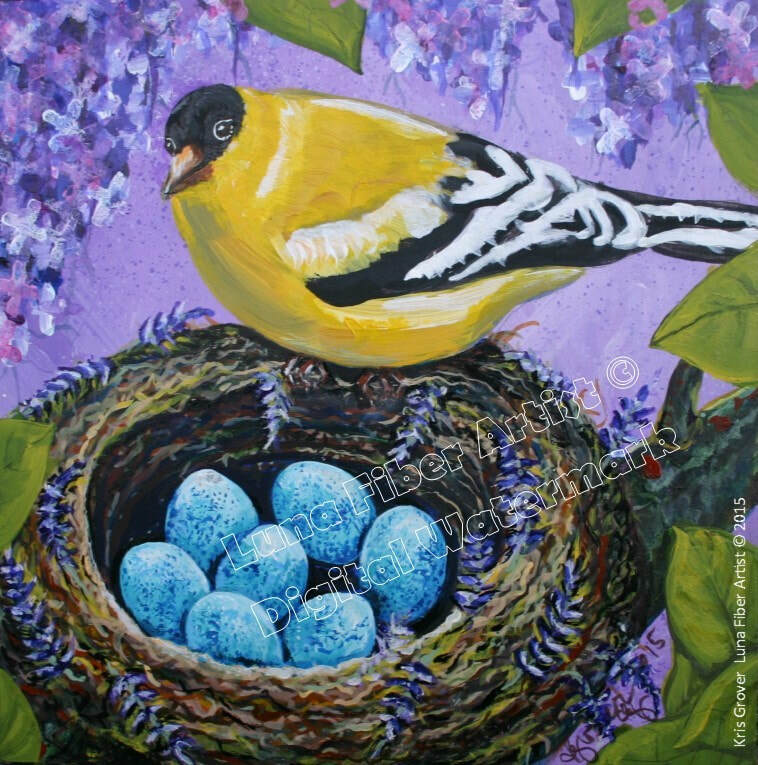 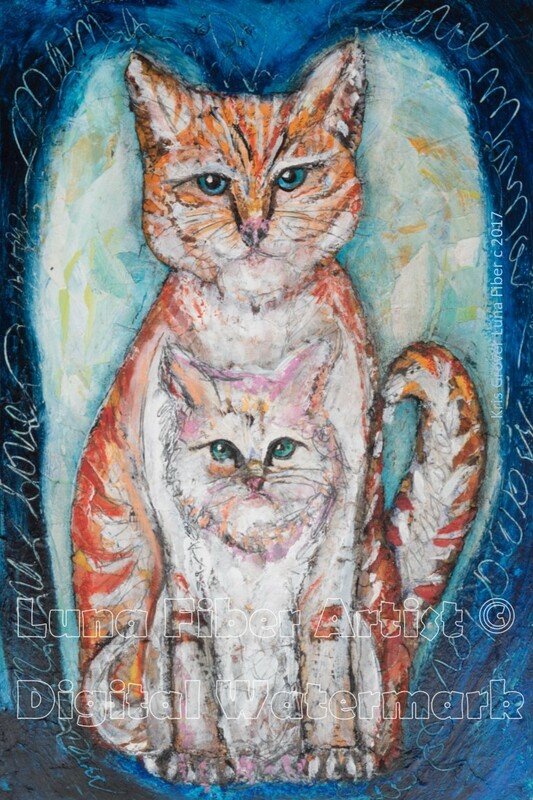 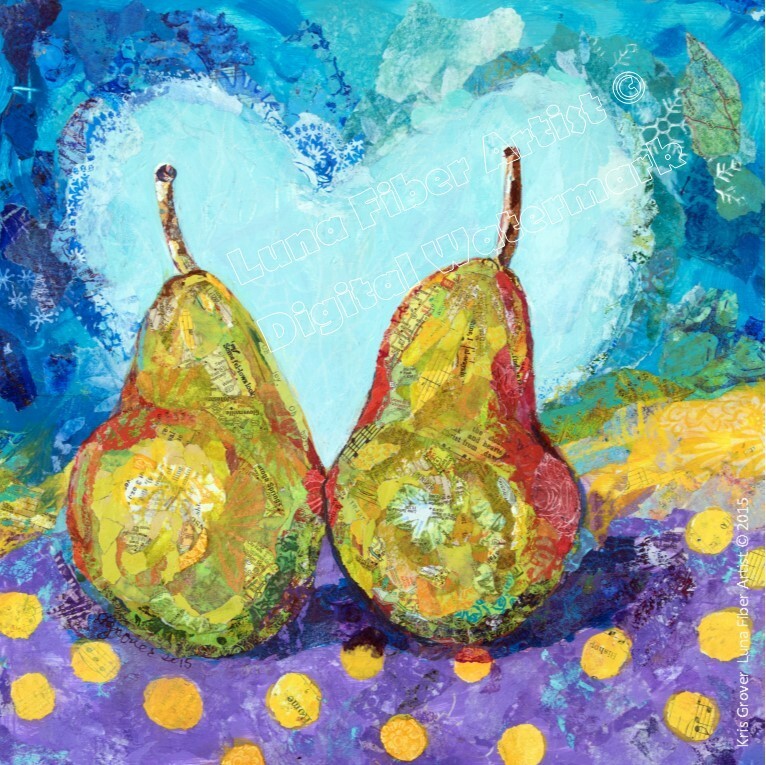 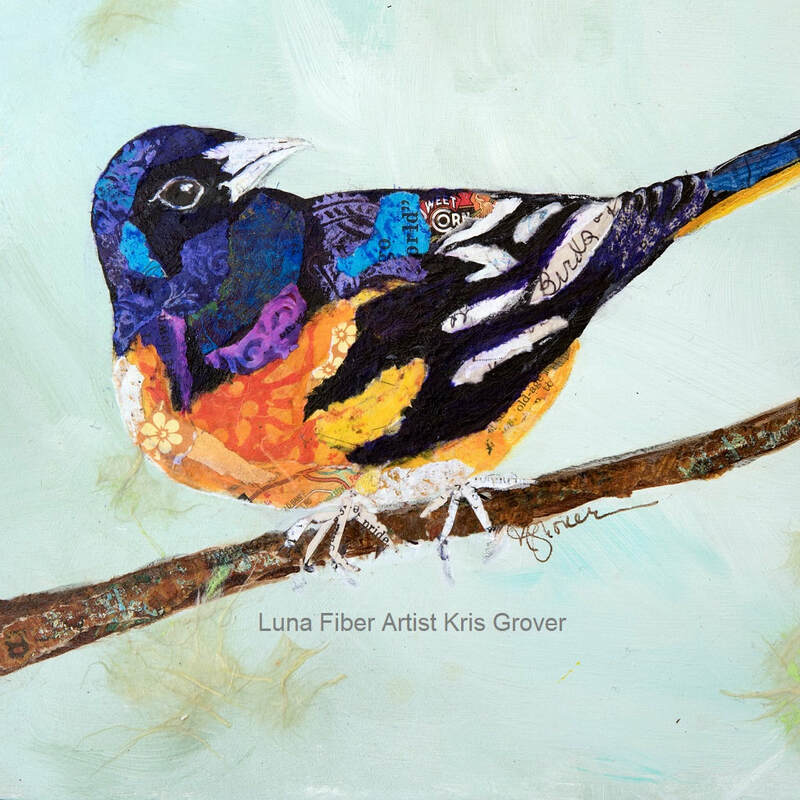 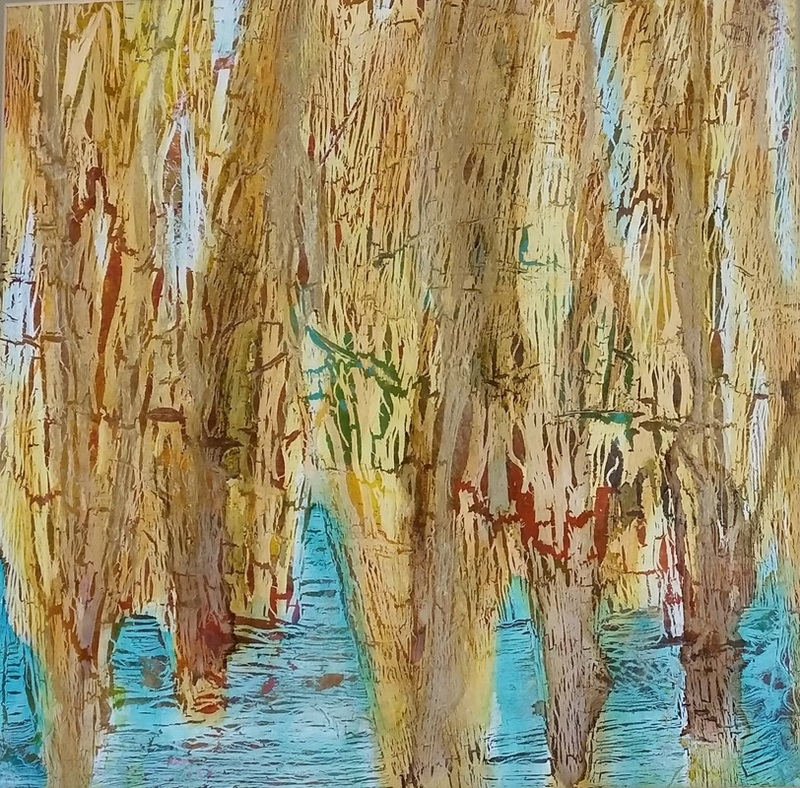 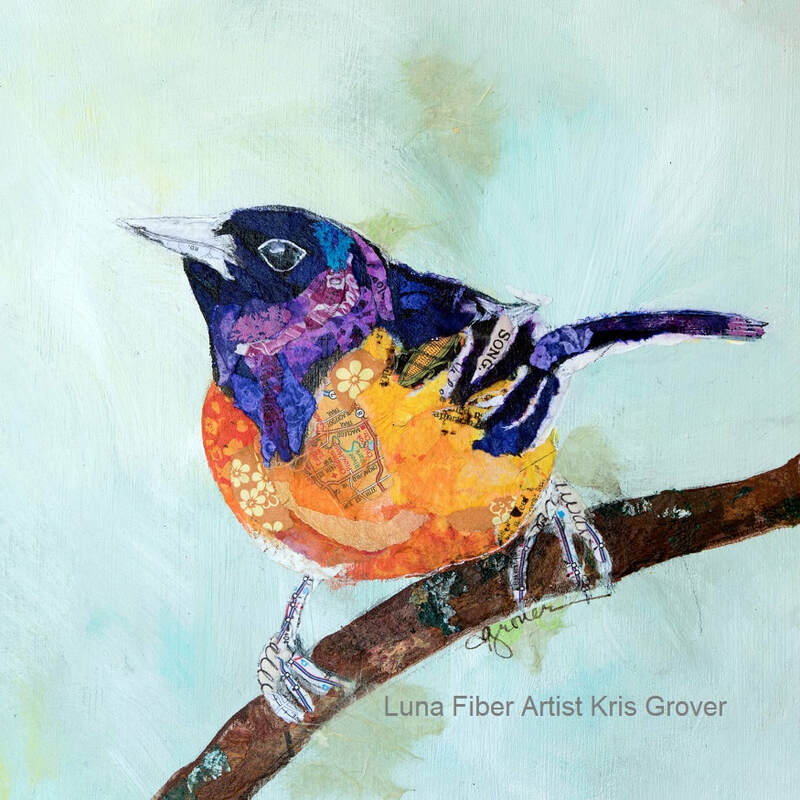 Kris' art is is vivid and layered, with a painterly and often whimsical voice. 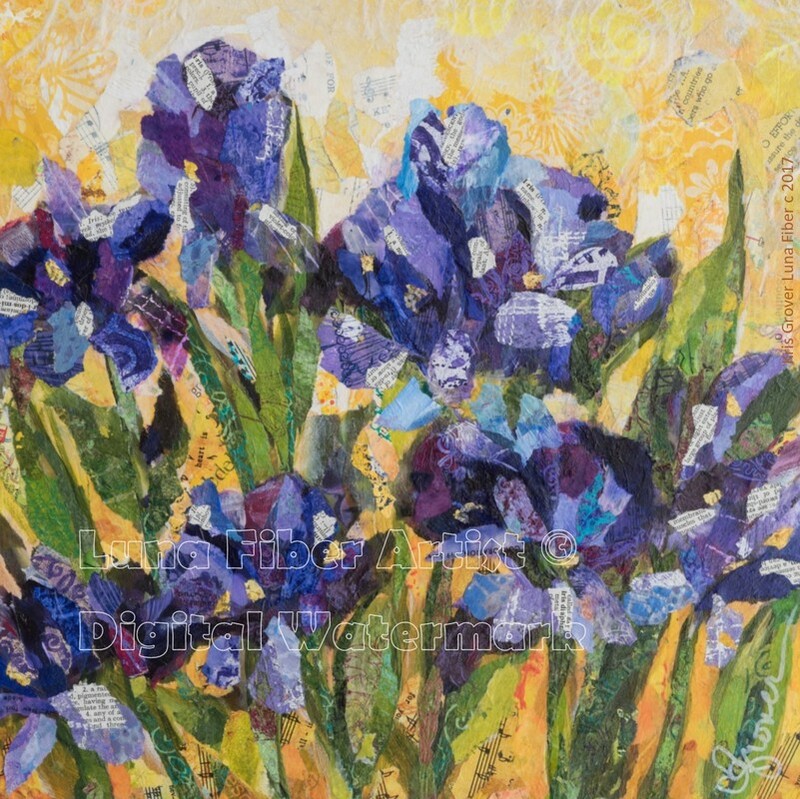 All torn paper collages on wood canvases have finished edges, so framing is not necessary. 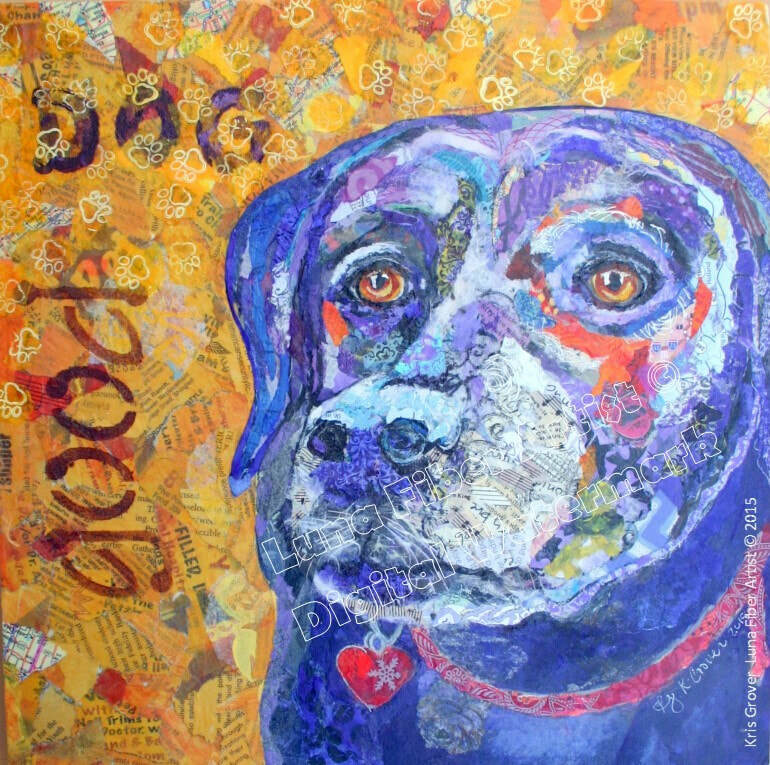 Torn paper collage on wood panel 6"x6"
Torn paper collage on wood panel 8"x8"
"Gert" Print only, from "Got Gossip?" 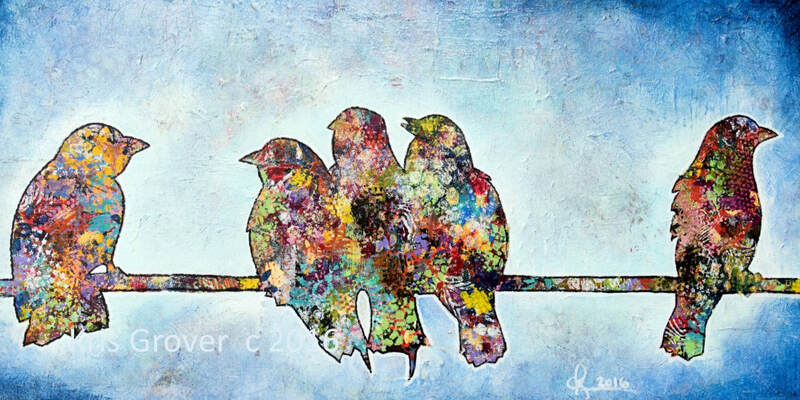 "Flo" Print only, from "Got Gossip?" 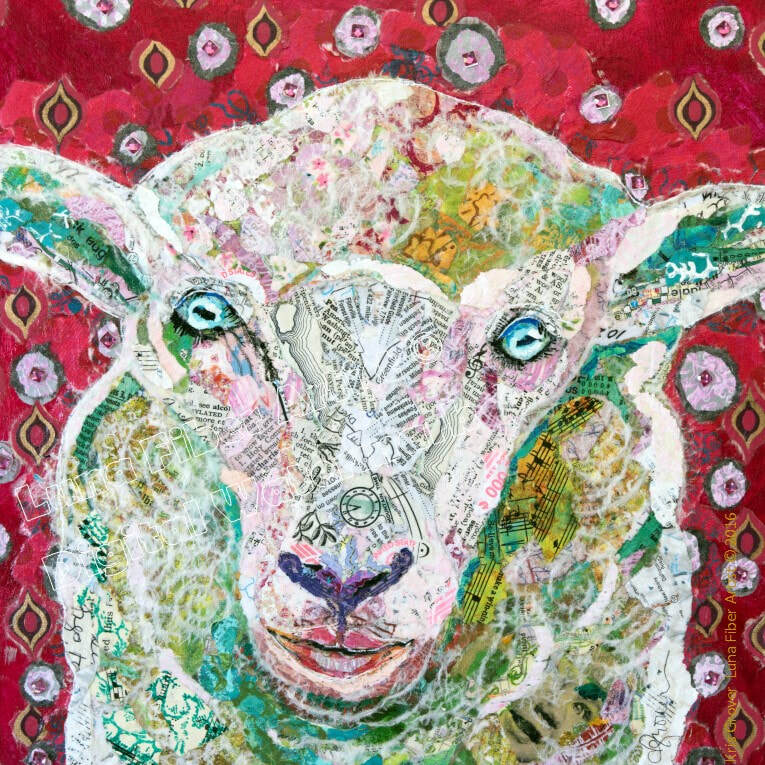 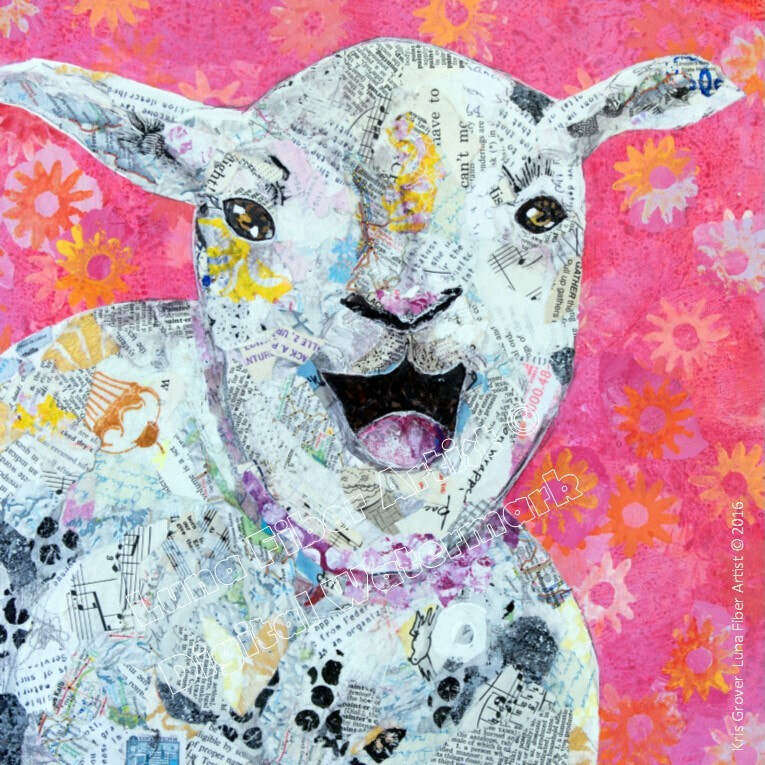 "Agnus" Print only, from "Got Gossip?" 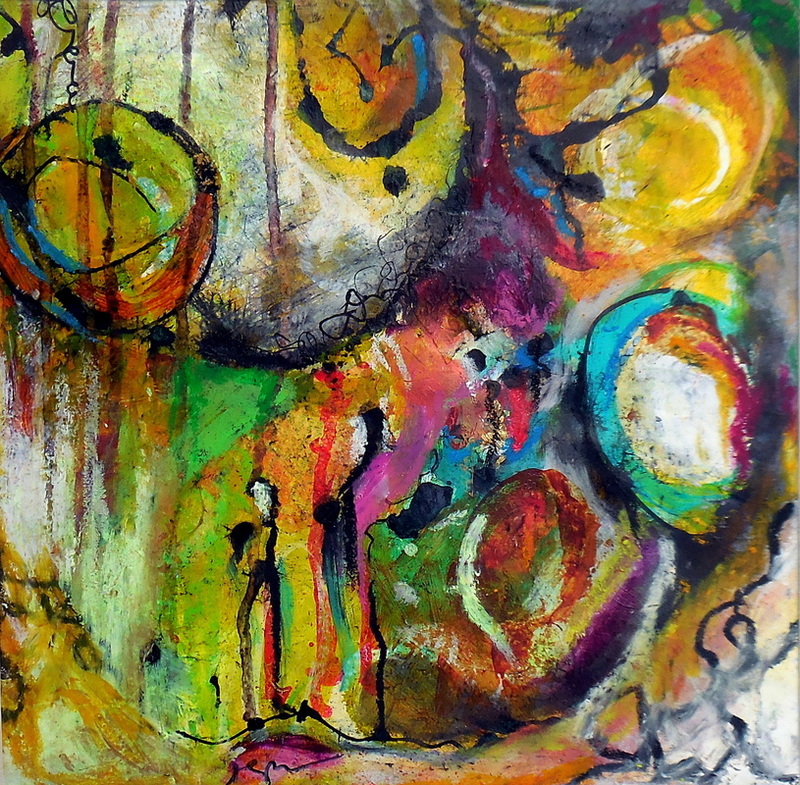 Sunflowers in the Moonlight 10"x30"
Abstract acrylics, inks, oil pastels on 12"x12" flat paper, matted and finished to 20"x20"